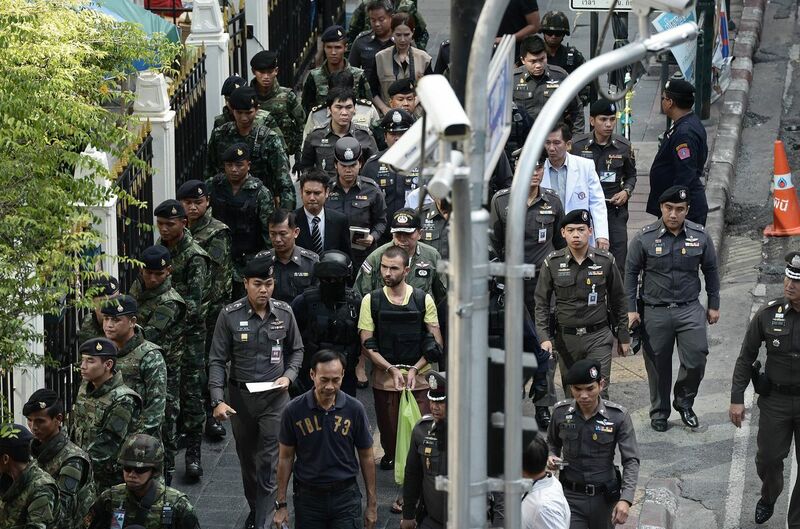 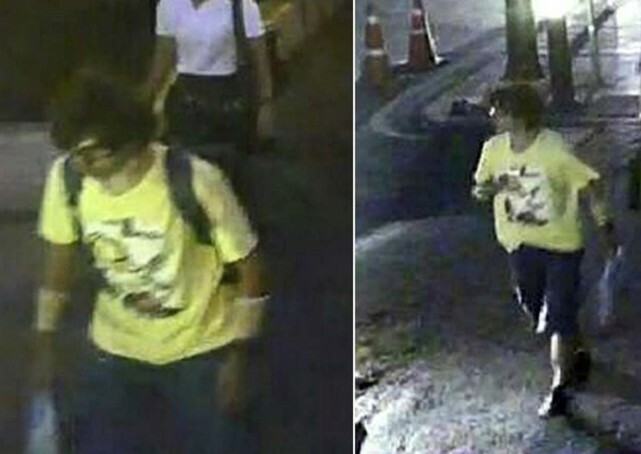 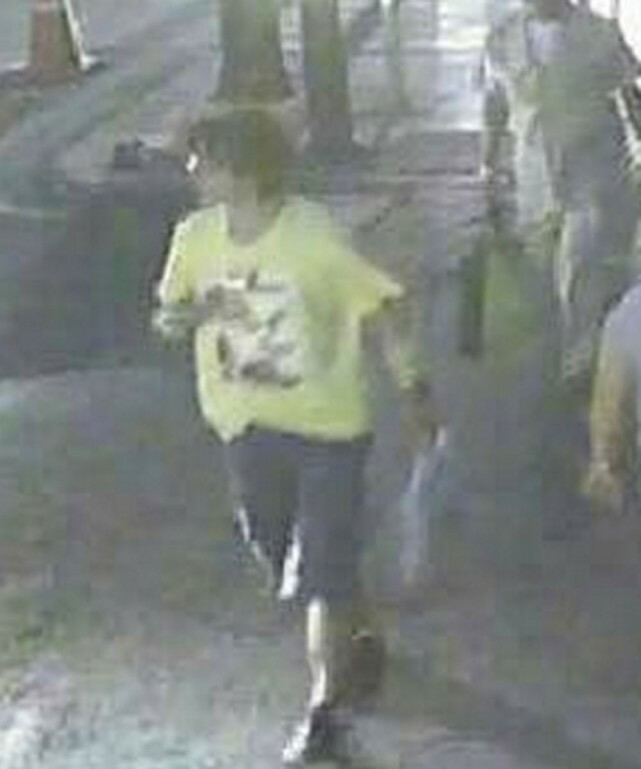 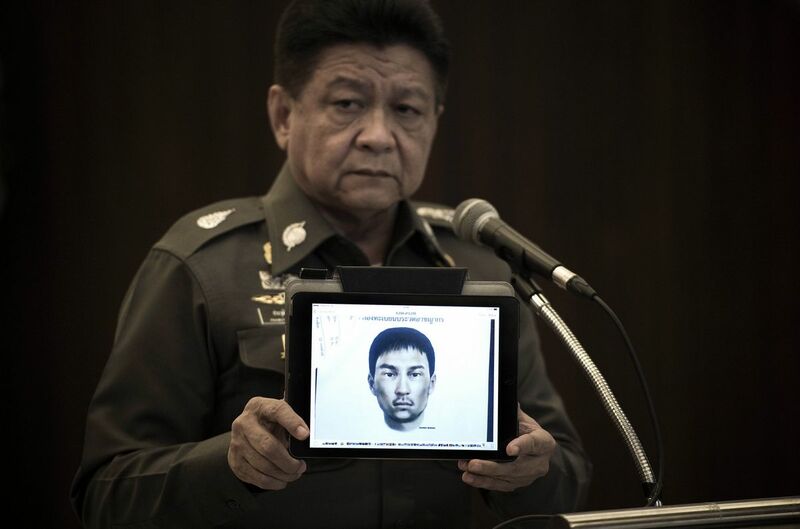 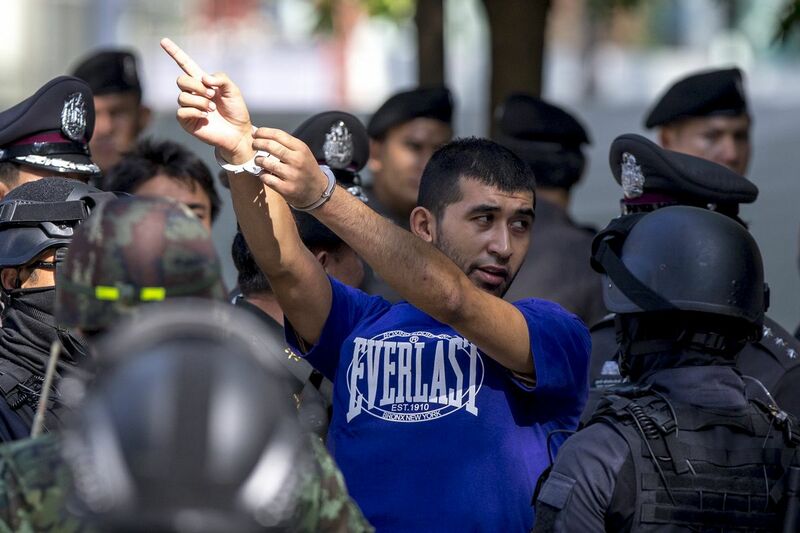 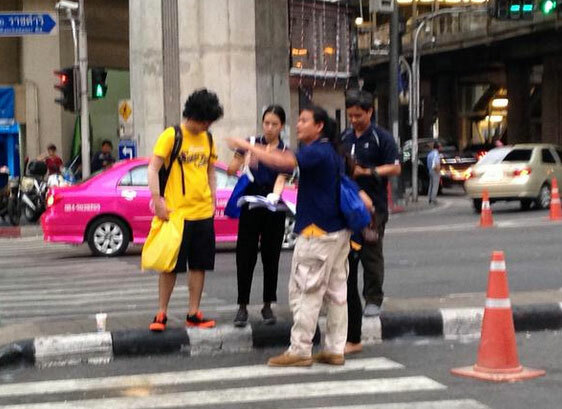 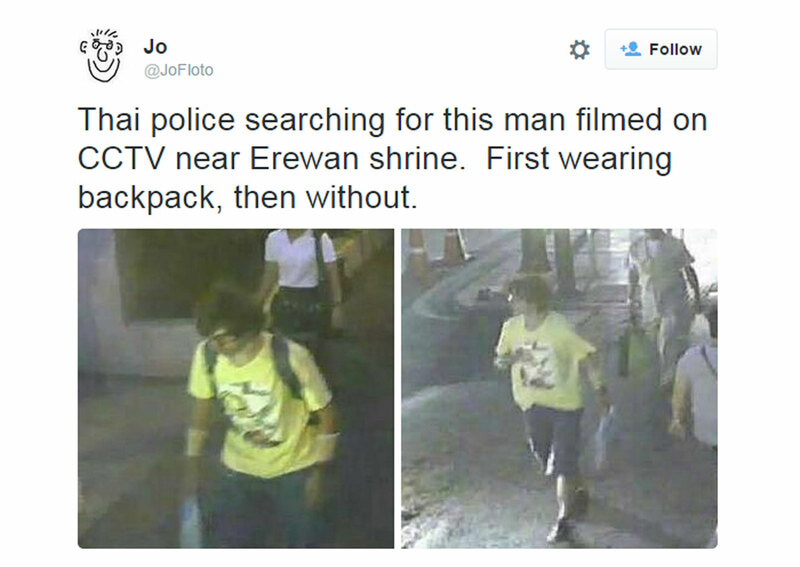 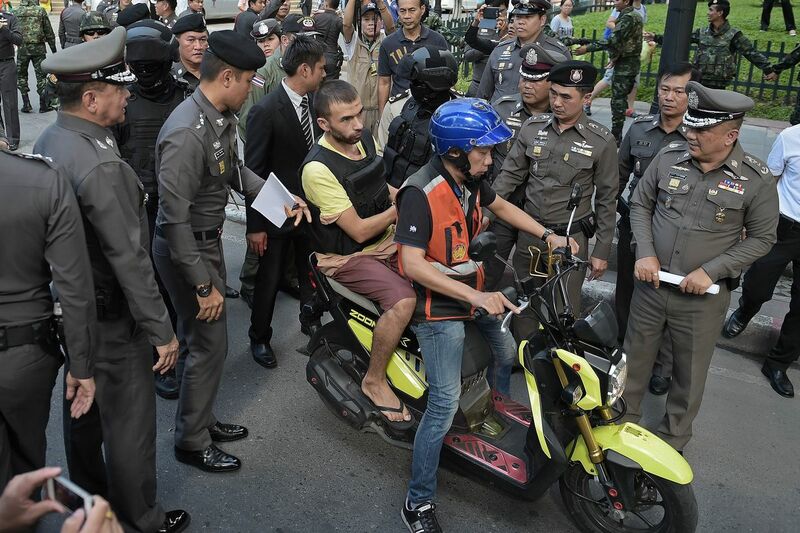 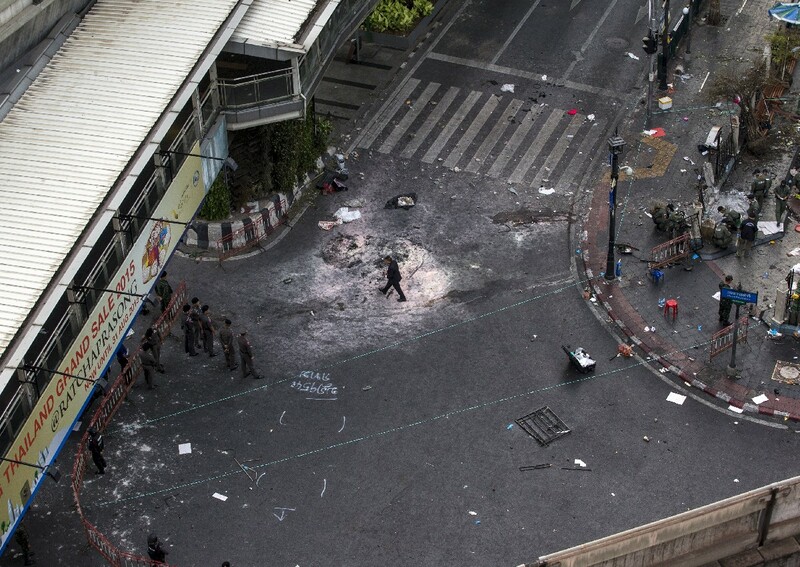 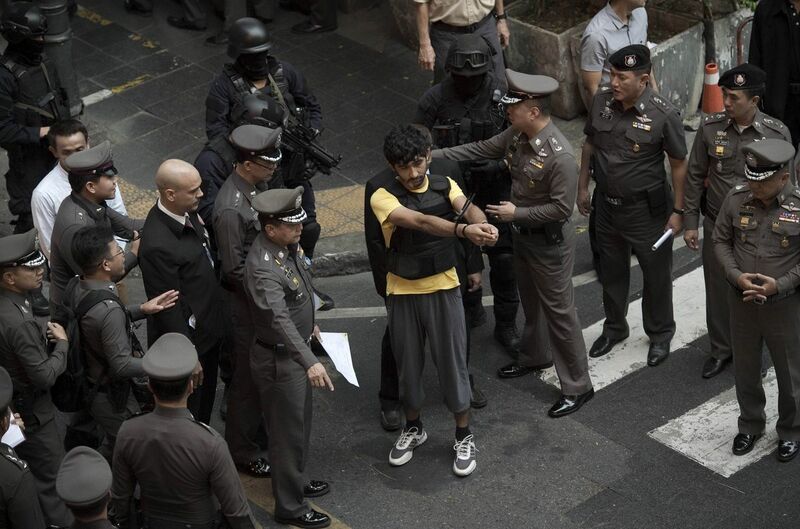 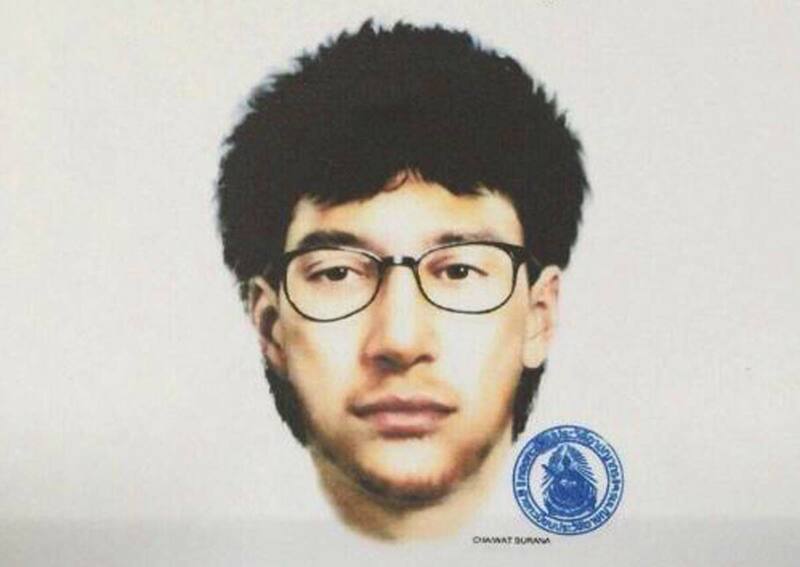 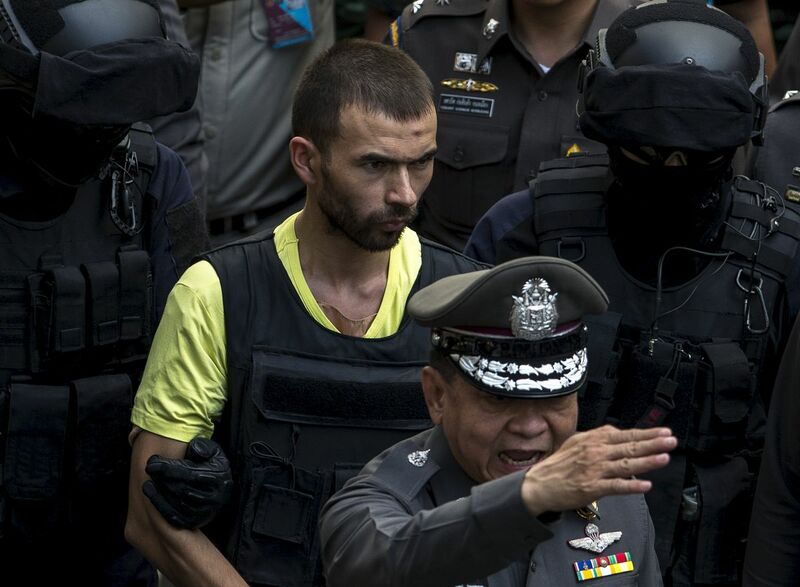 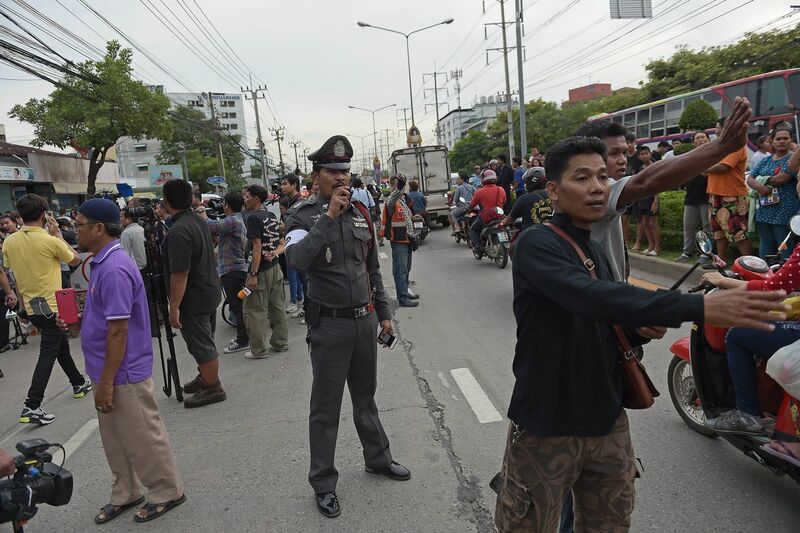 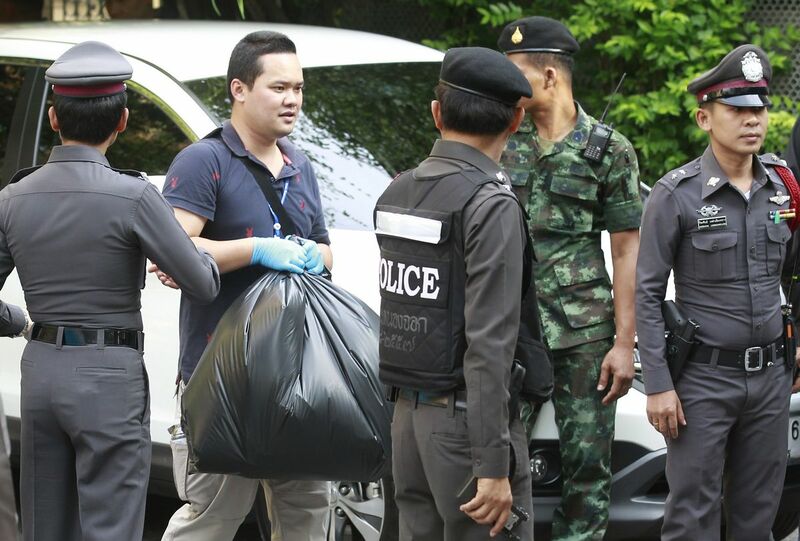 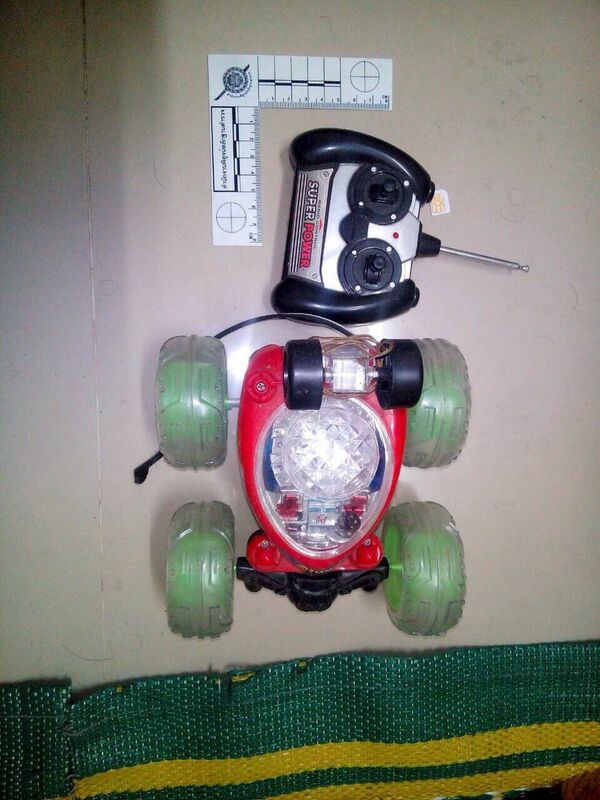 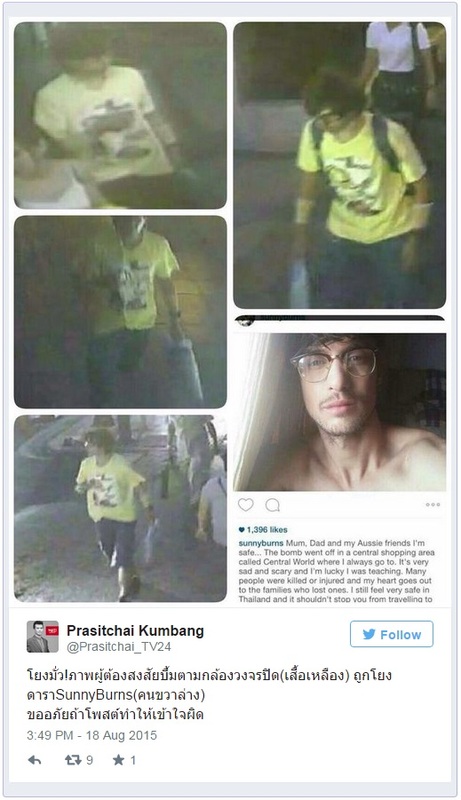 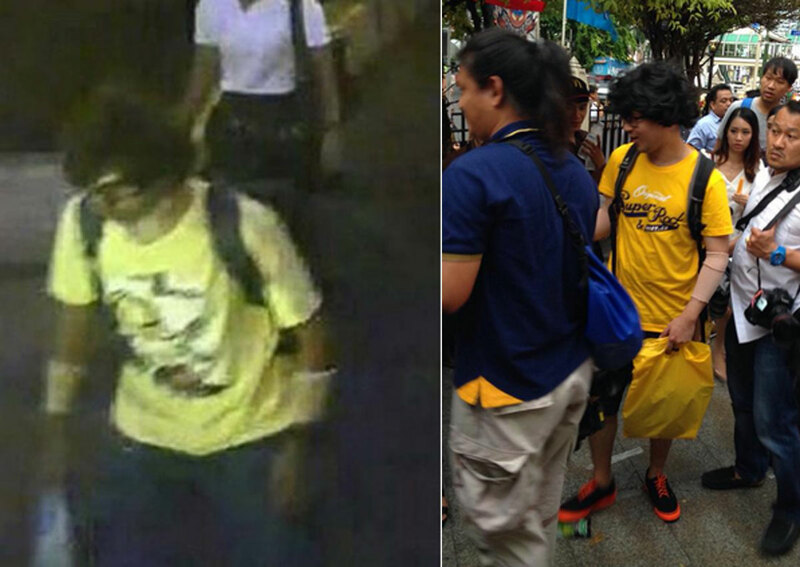 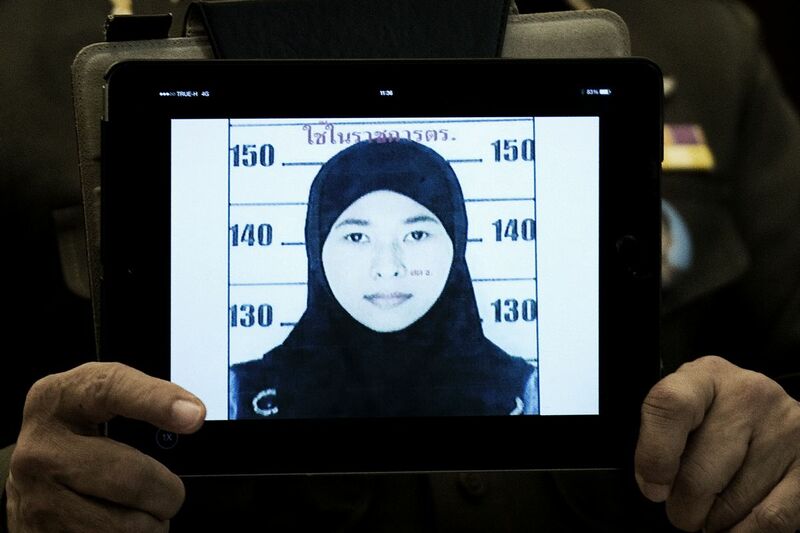 Possible suspect in the bomb blast, seen close to the Erawan shrine in Bangkok on August 17, 2015. 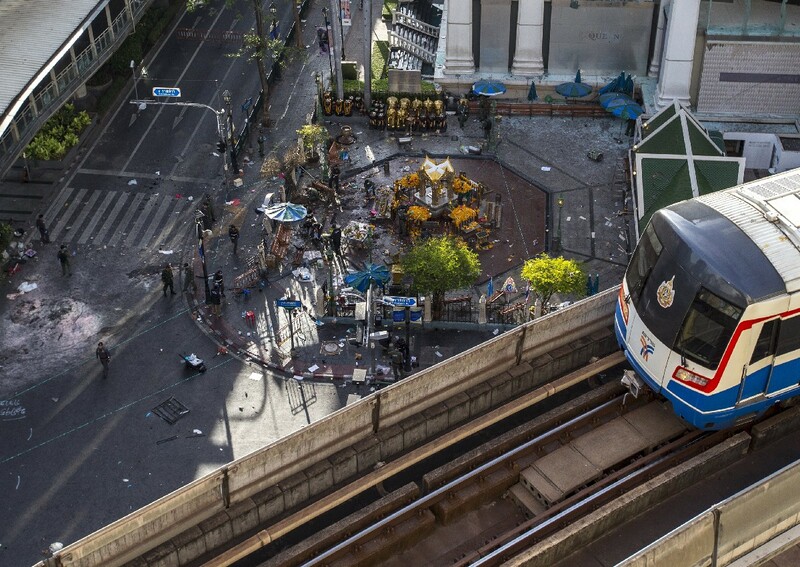 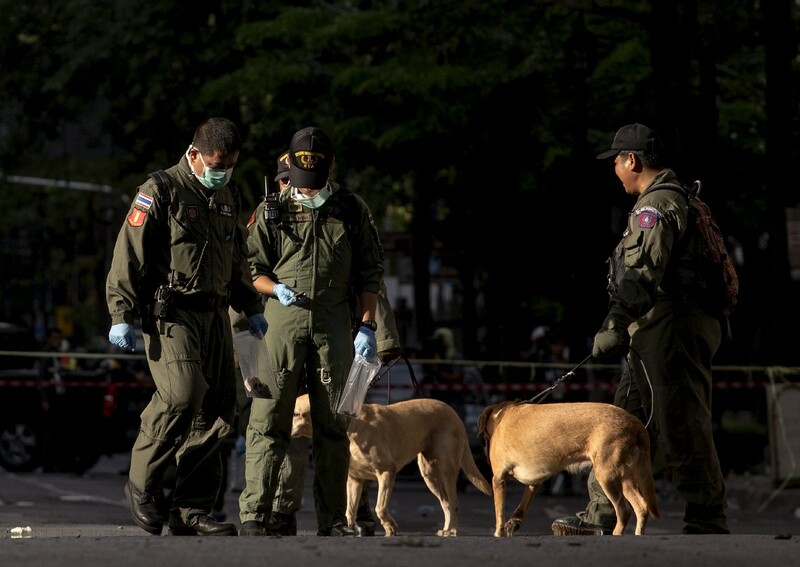 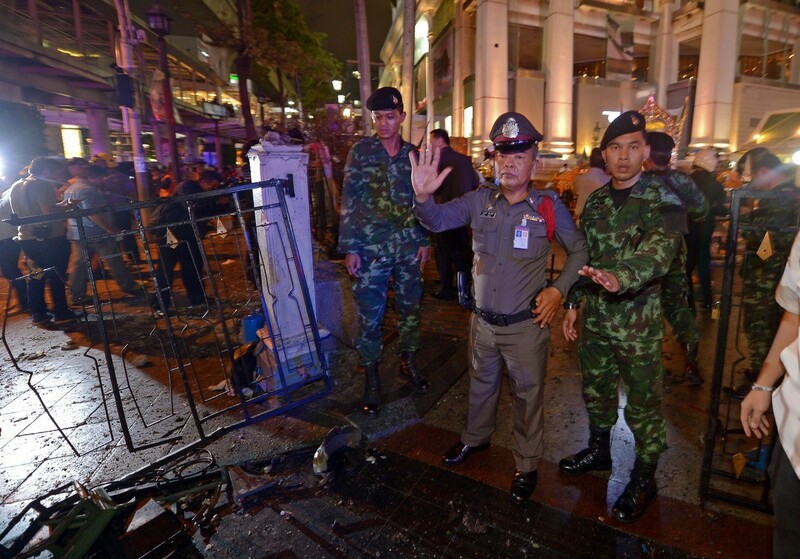 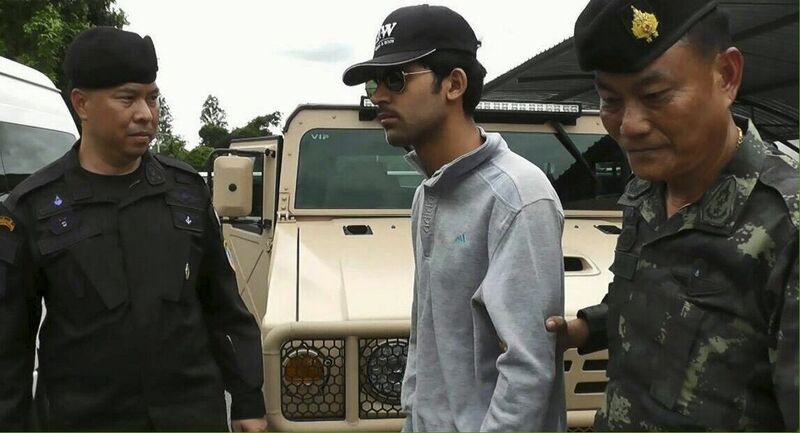 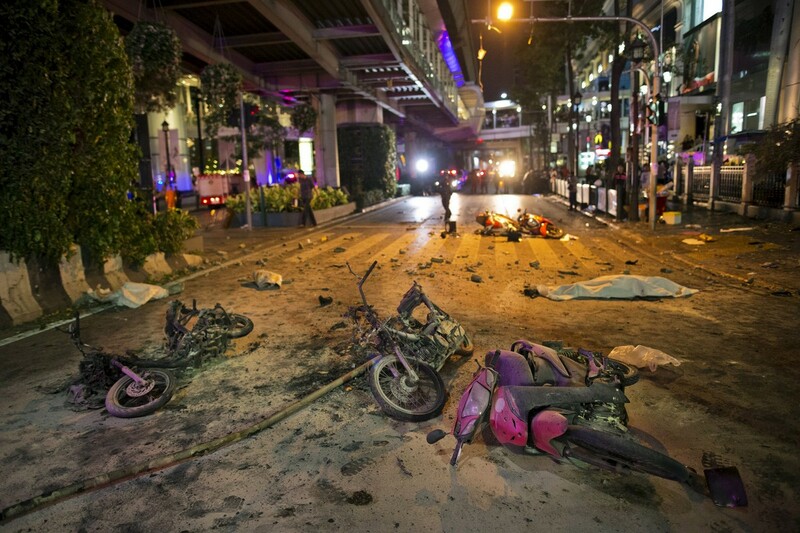 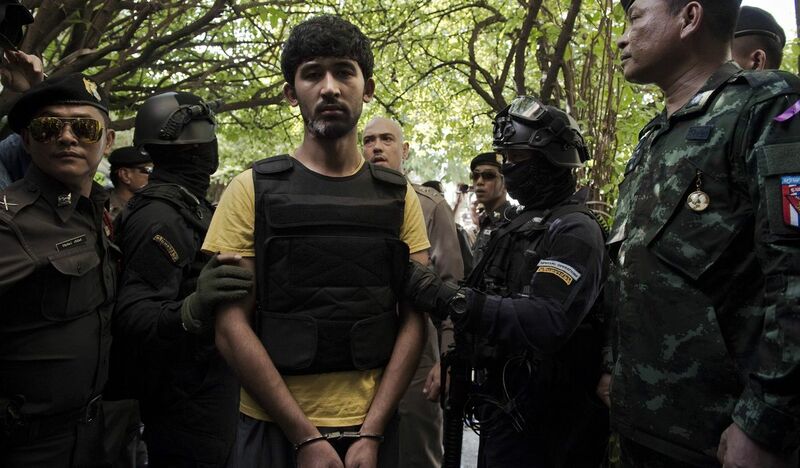 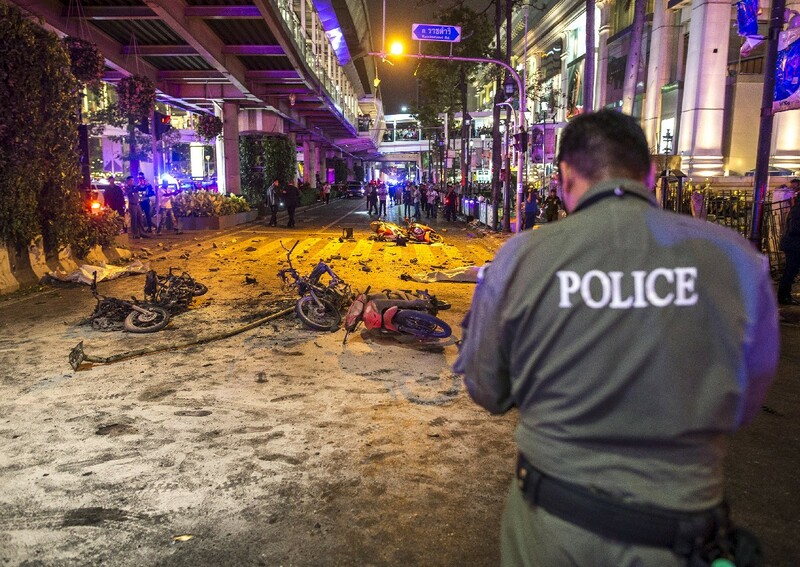 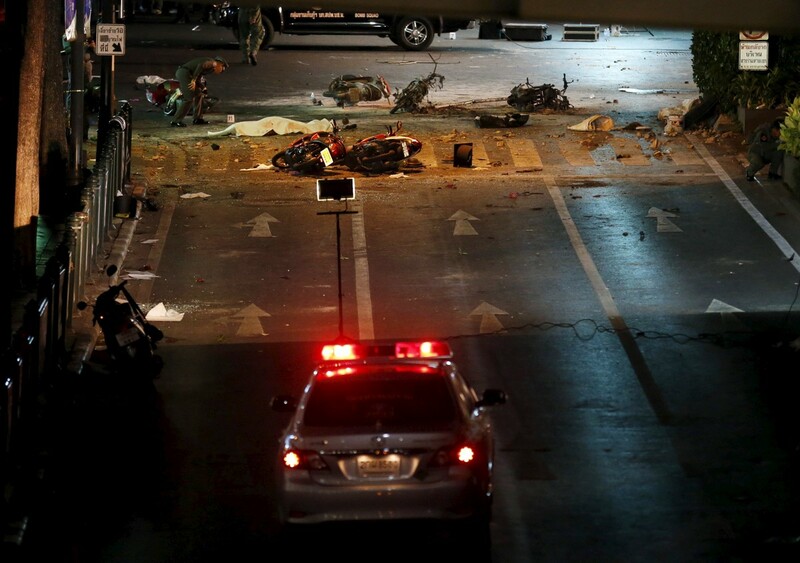 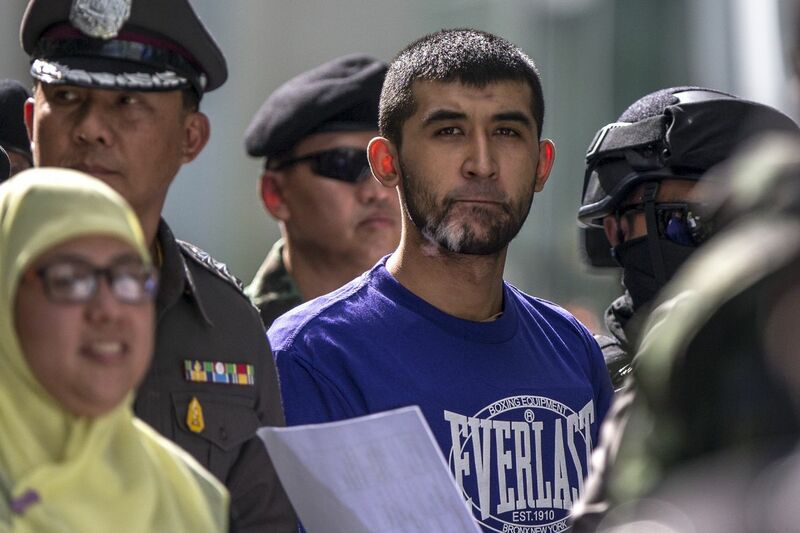 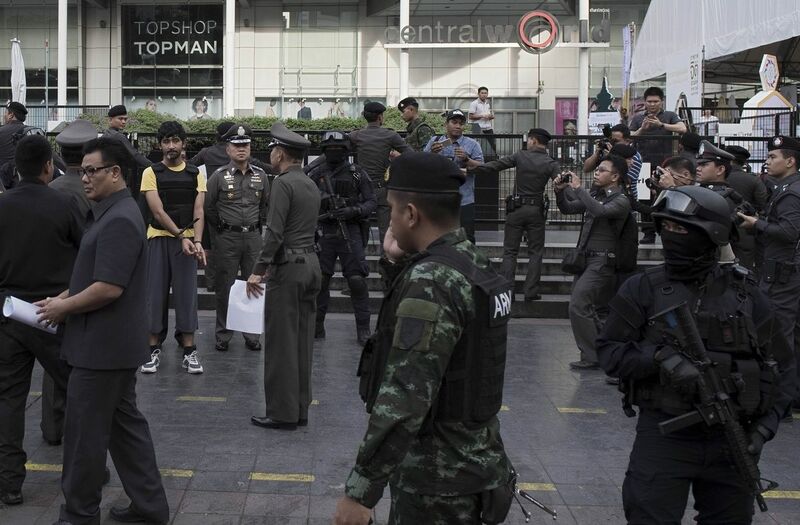 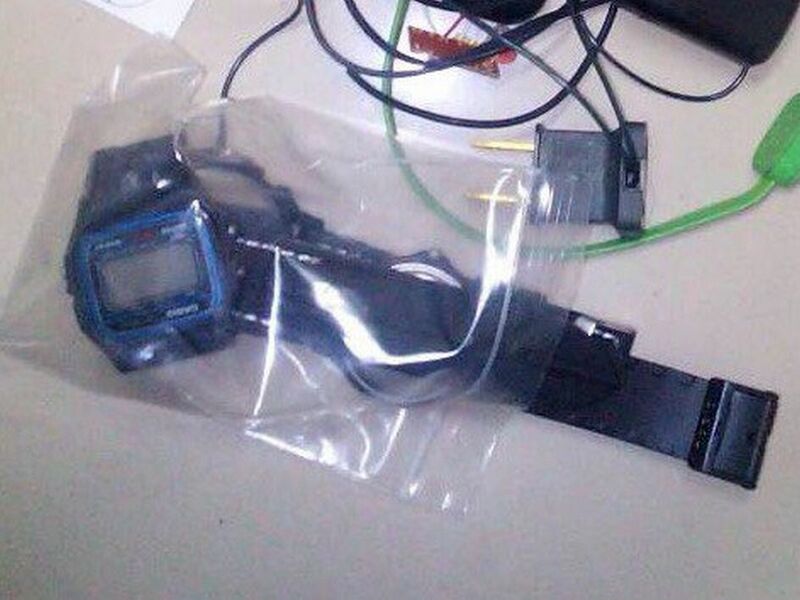 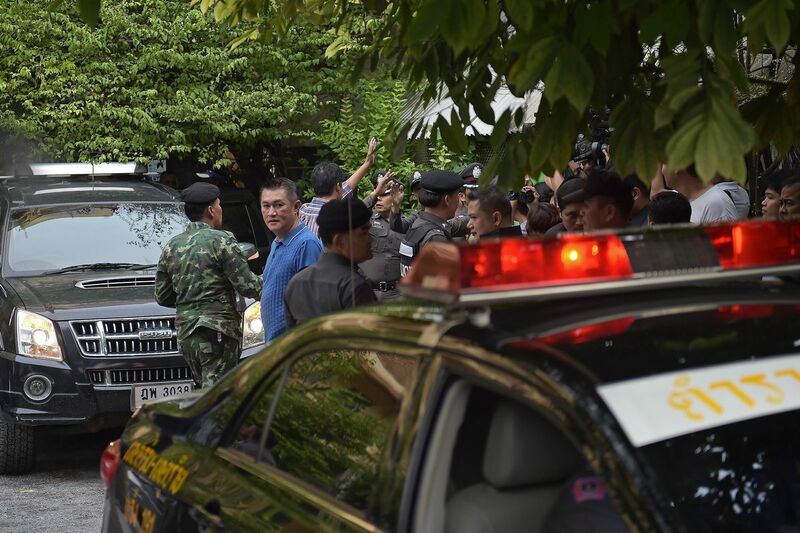 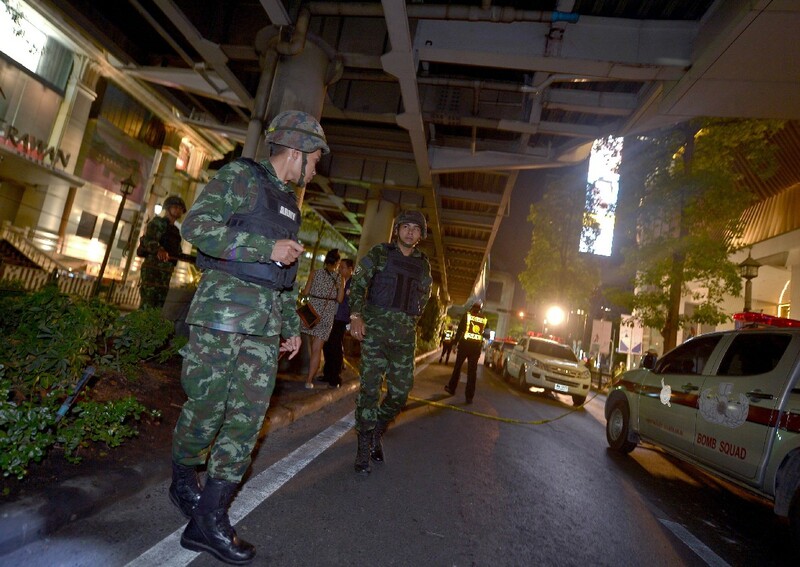 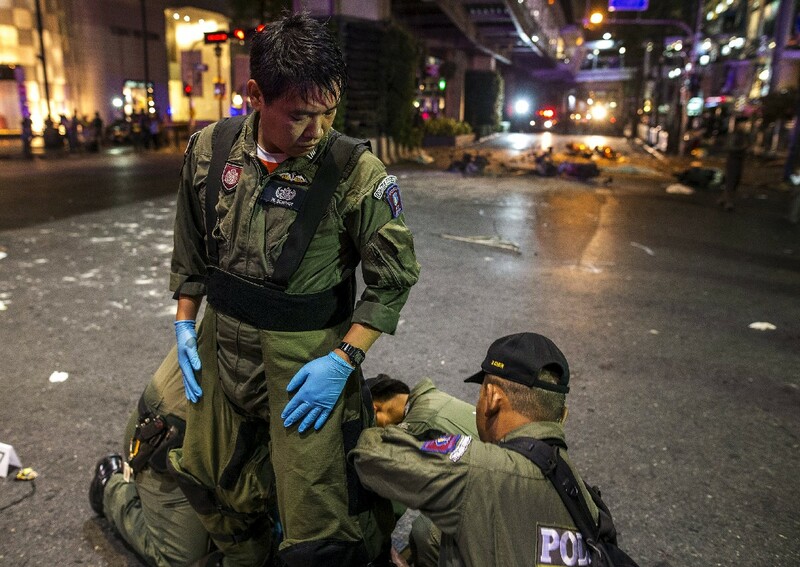 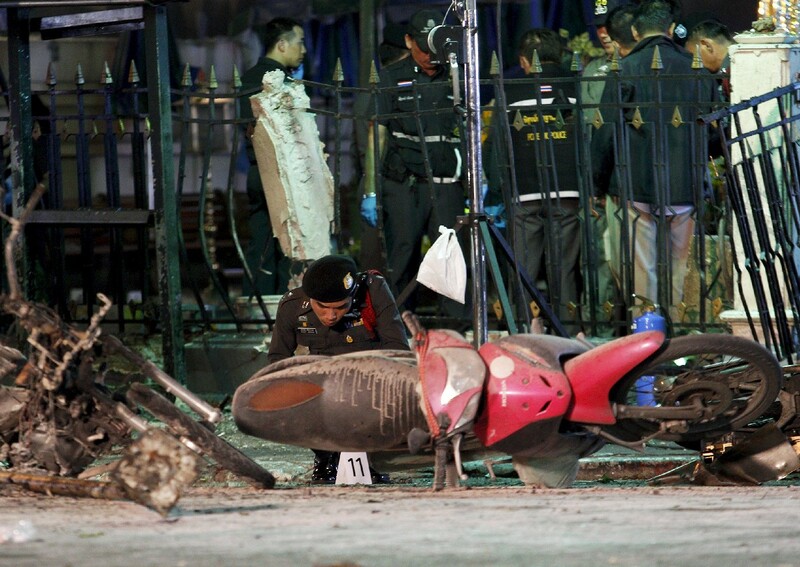 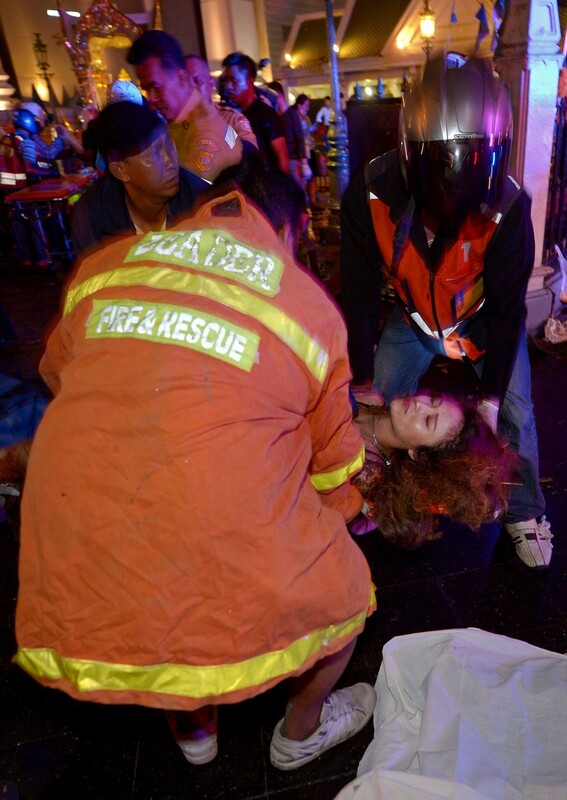 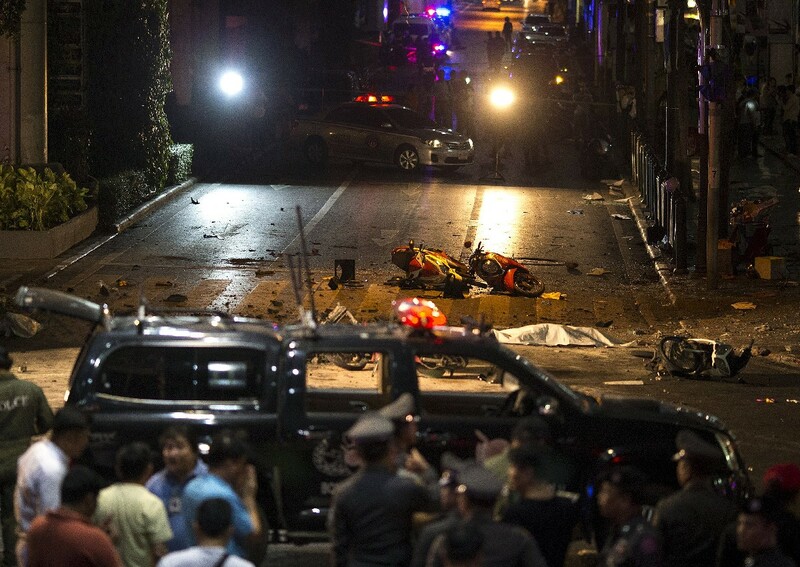 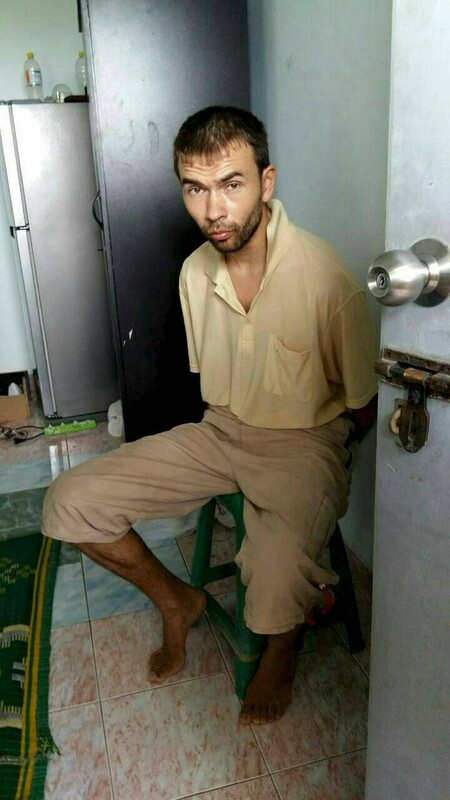 BANGKOK - Thailand's junta on Thursday said the Bangkok bomb that killed 20 people was not likely to be the work of a global terror group although a foreigner has been identified as the chief suspect. 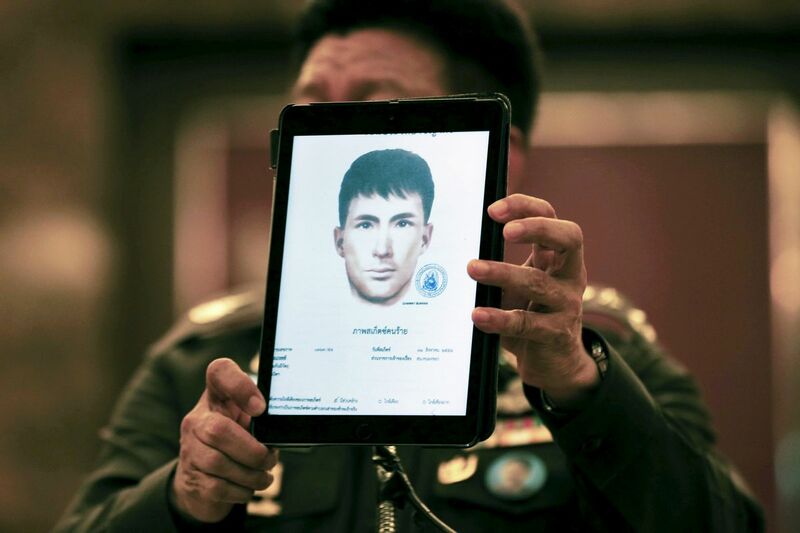 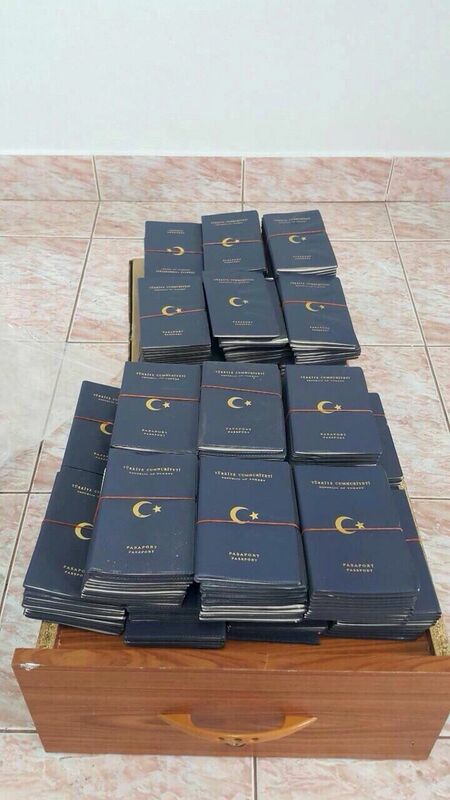 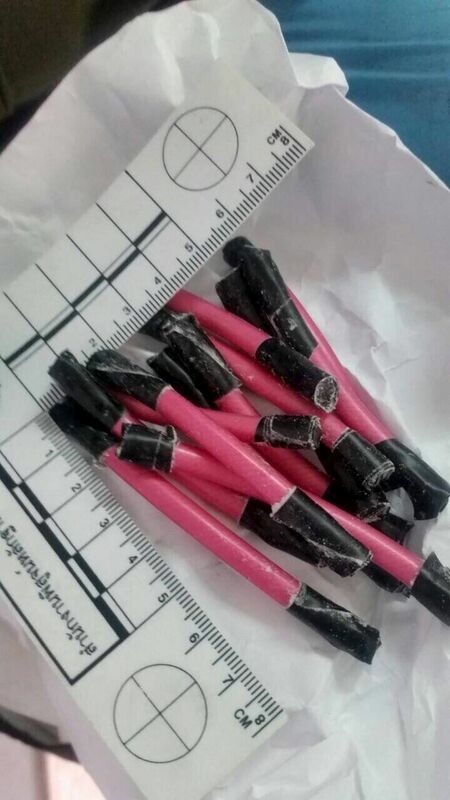 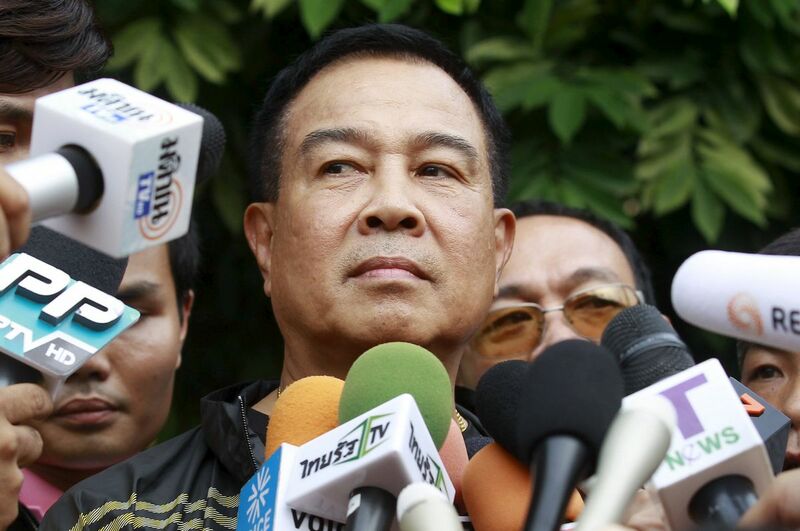 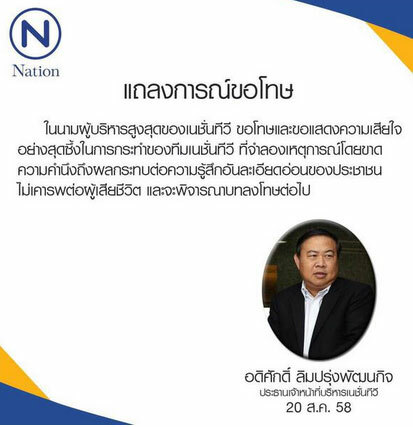 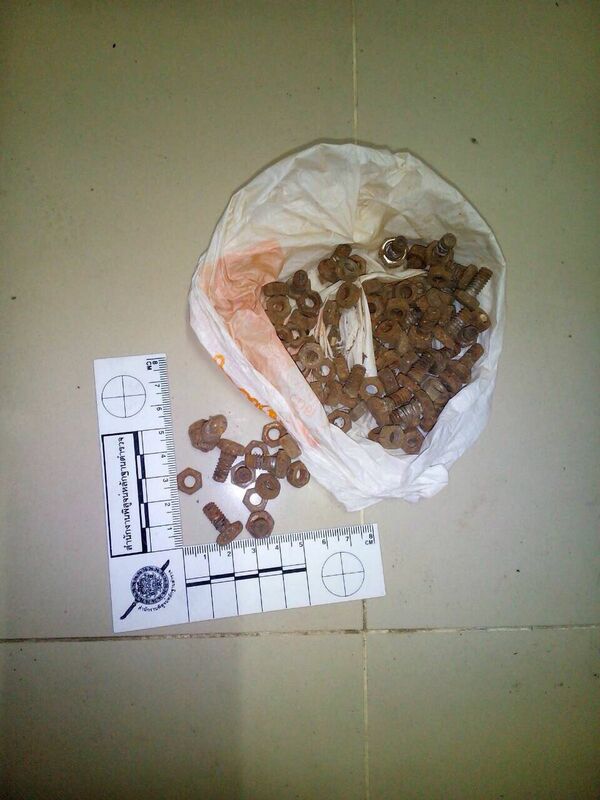 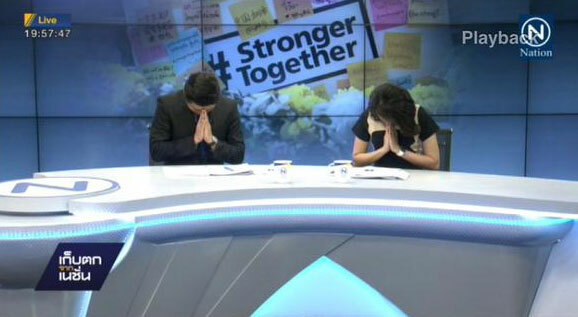 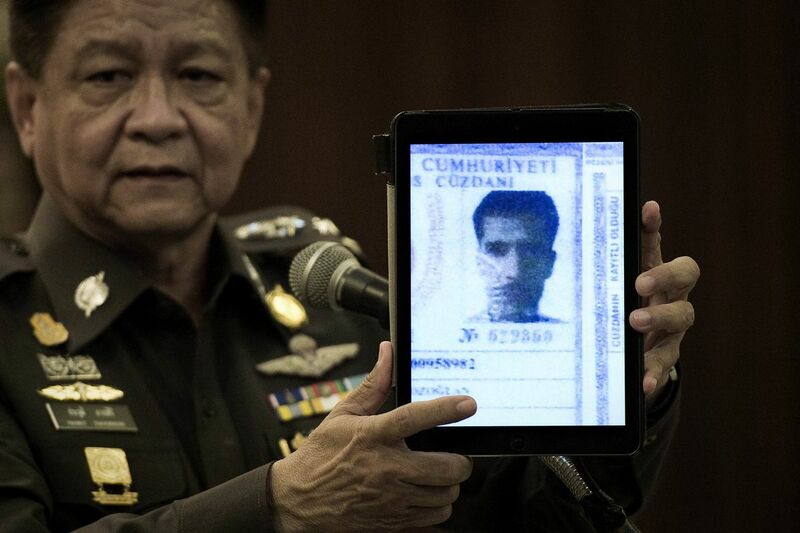 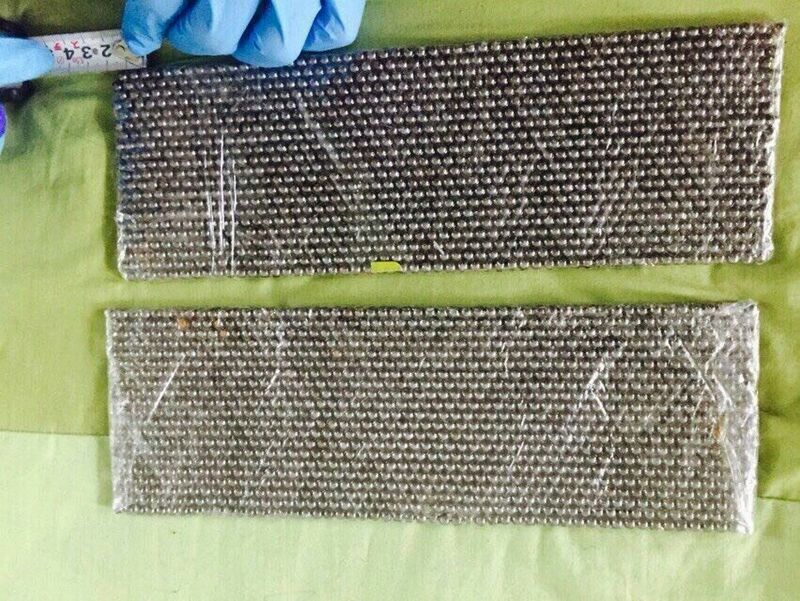 "It's unlikely that it's the work of an international terrorist group," Colonel Winthai Suvaree, a junta spokesman, said in a televised update, adding "Chinese people were not the direct target". 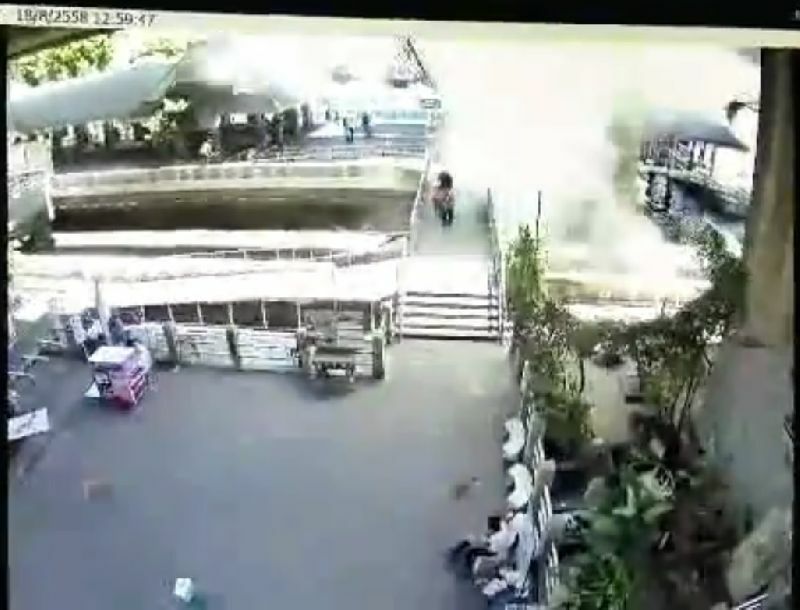 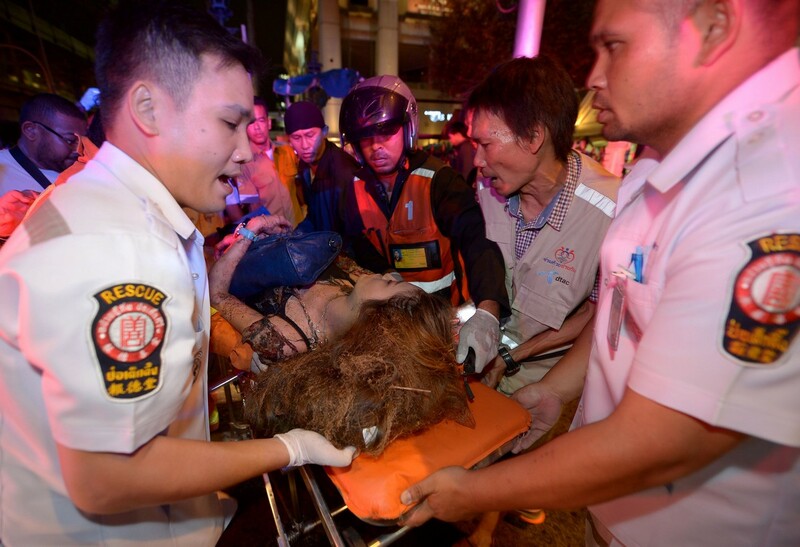 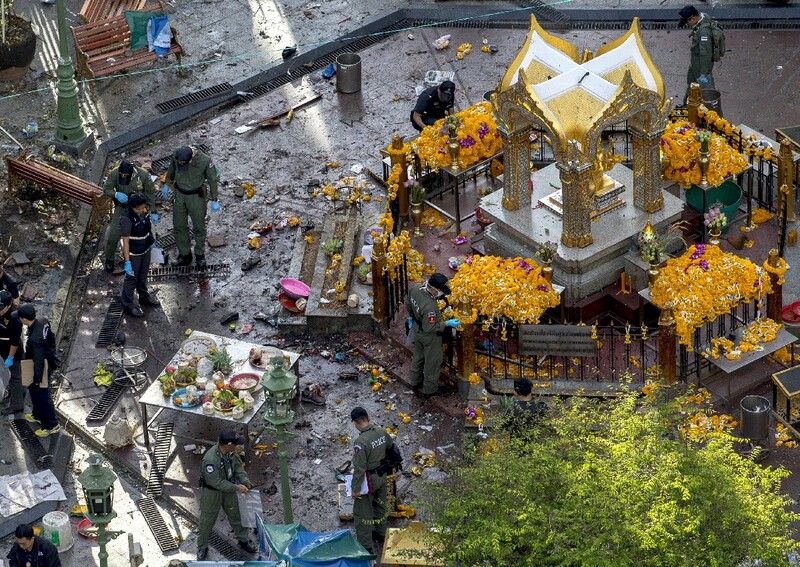 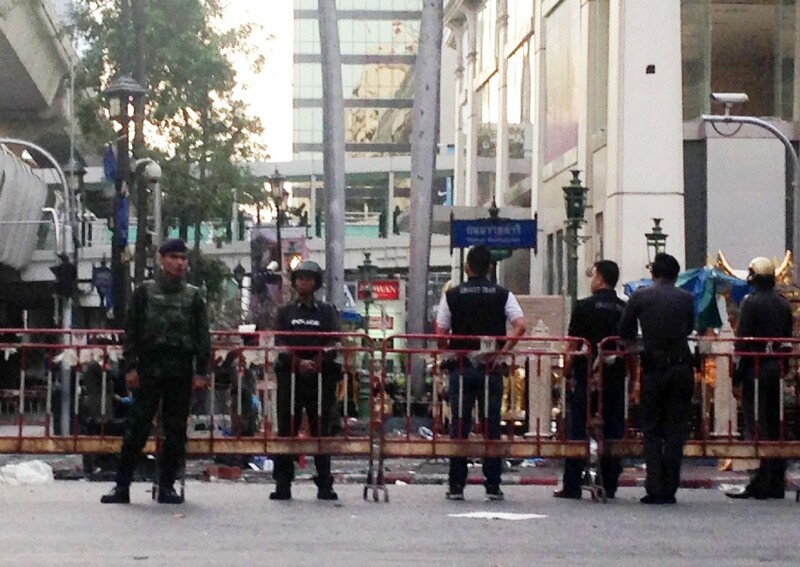 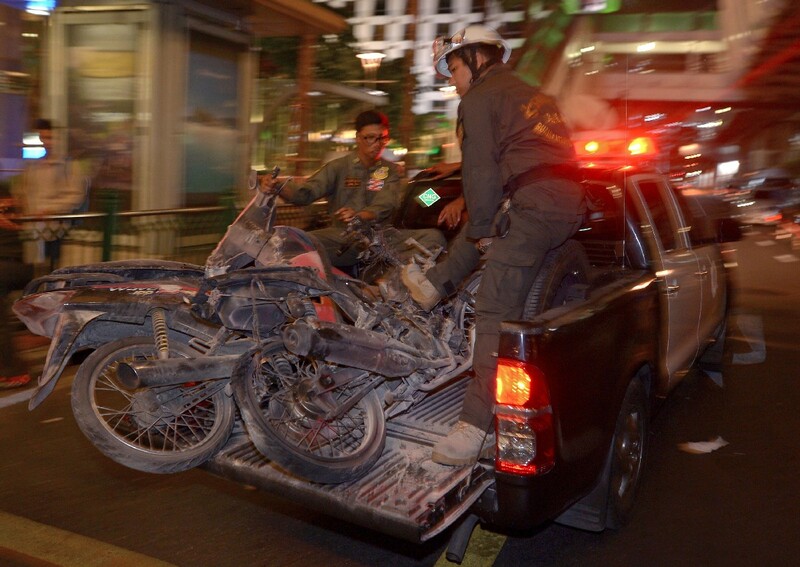 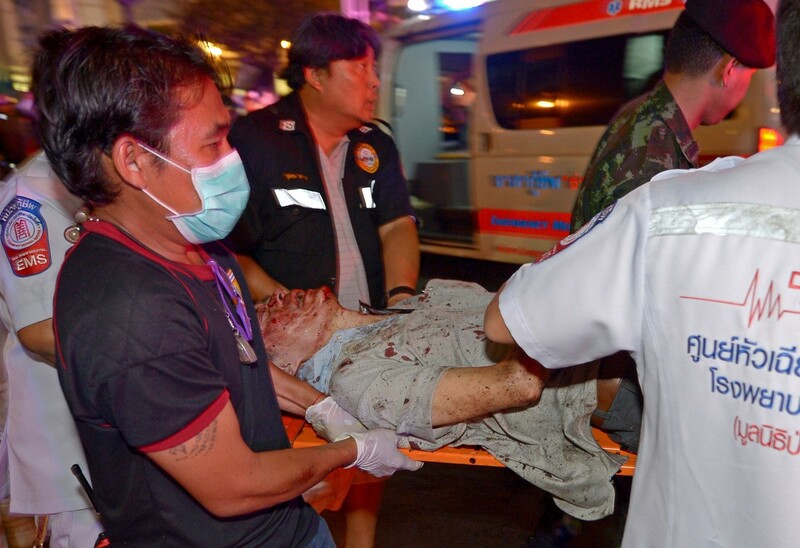 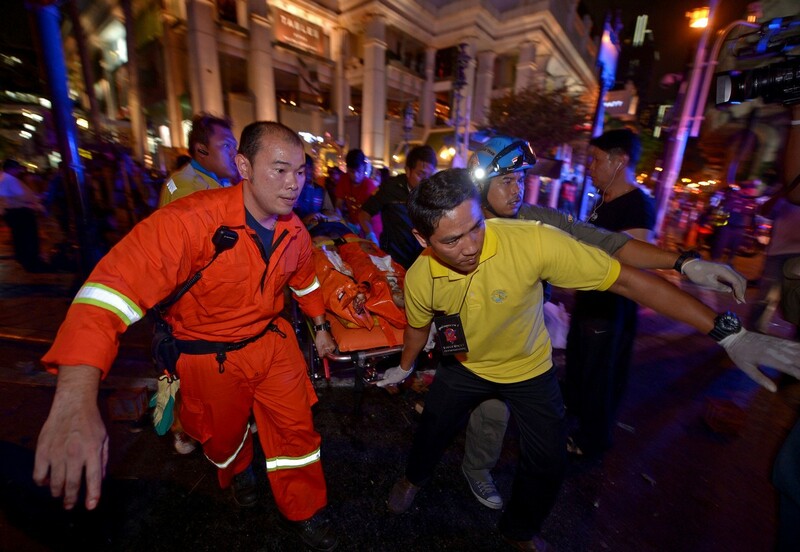 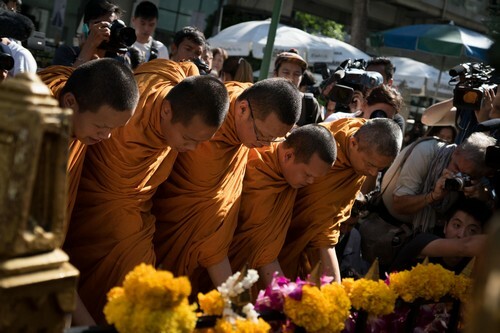 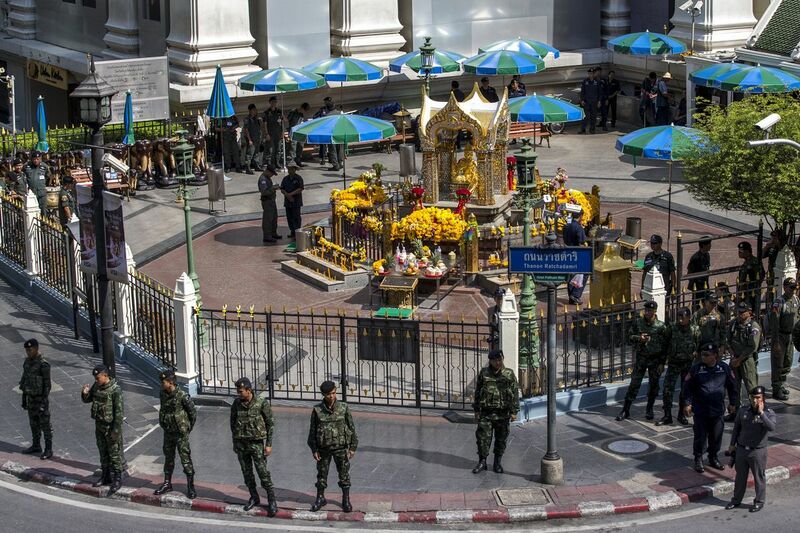 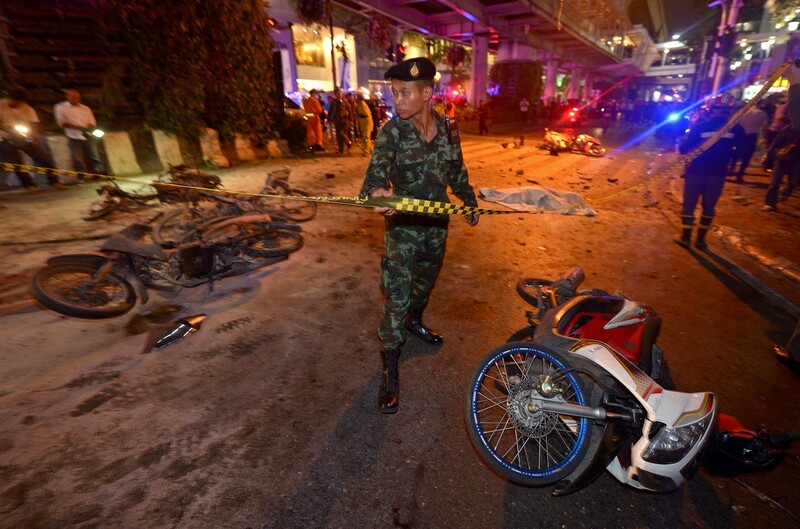 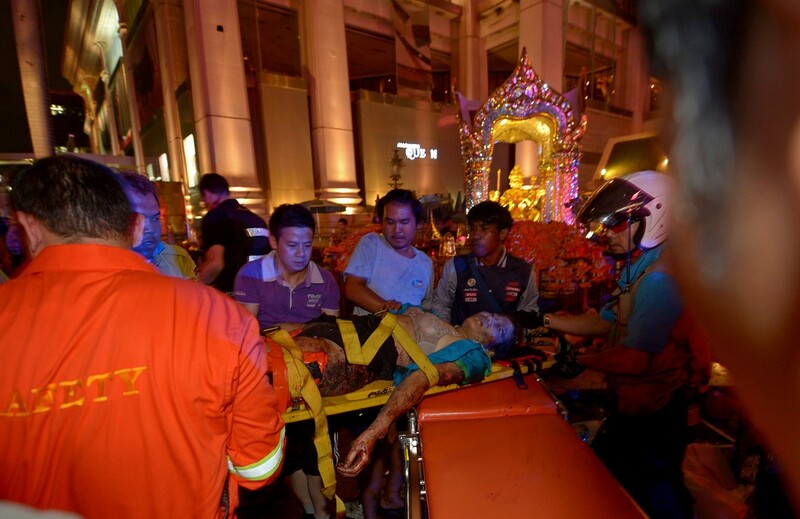 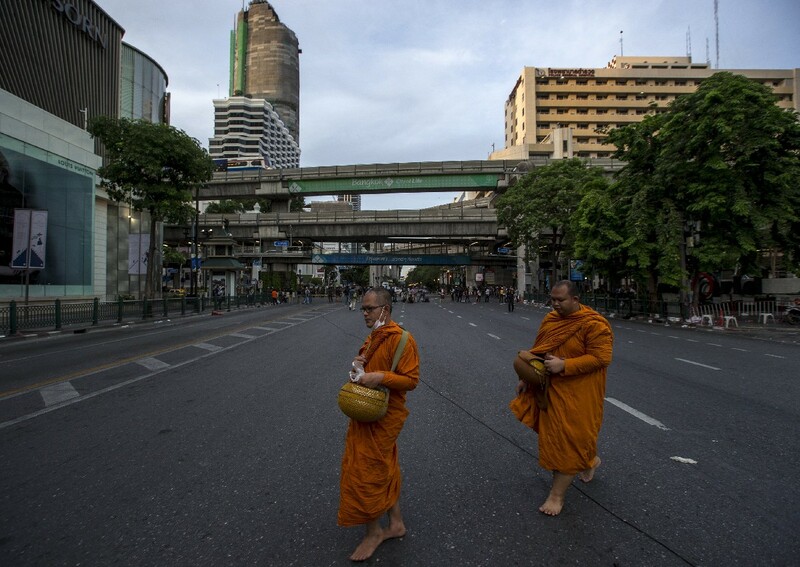 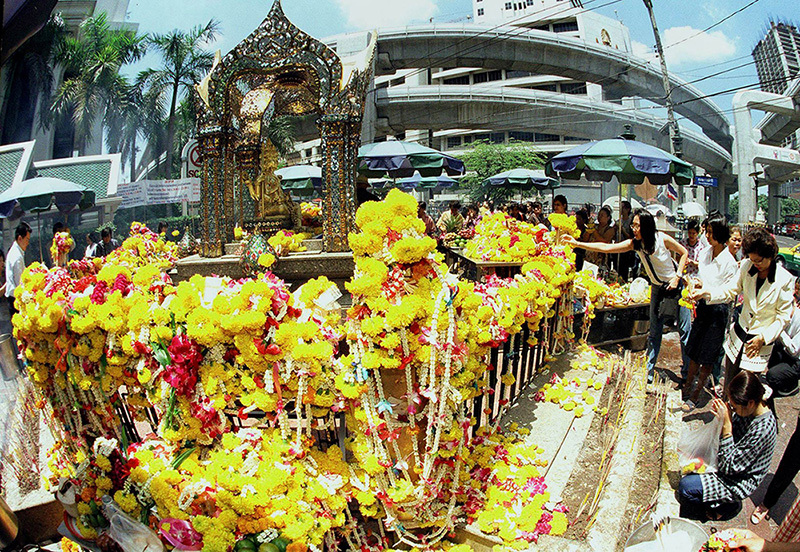 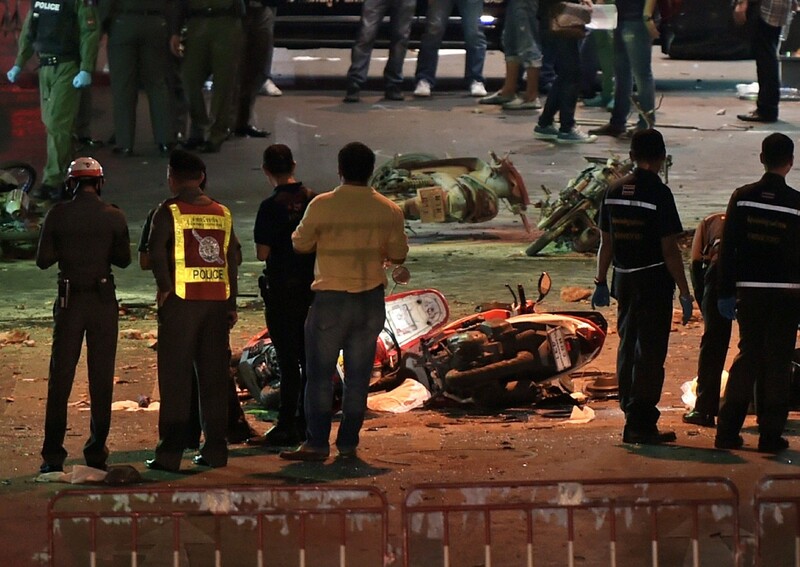 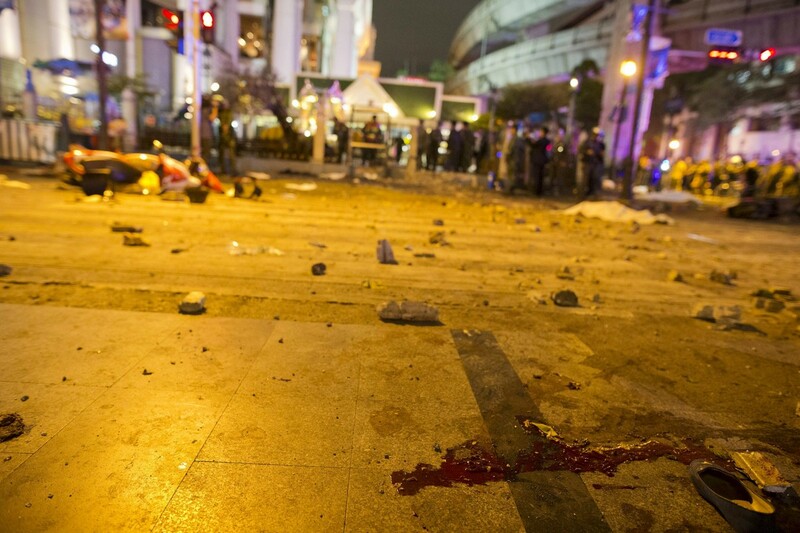 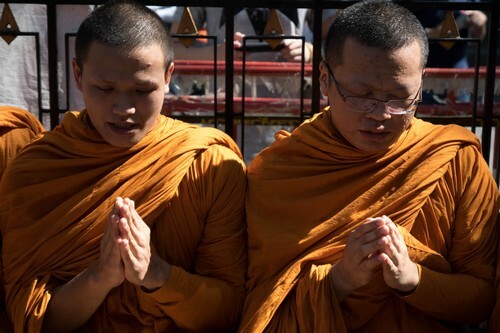 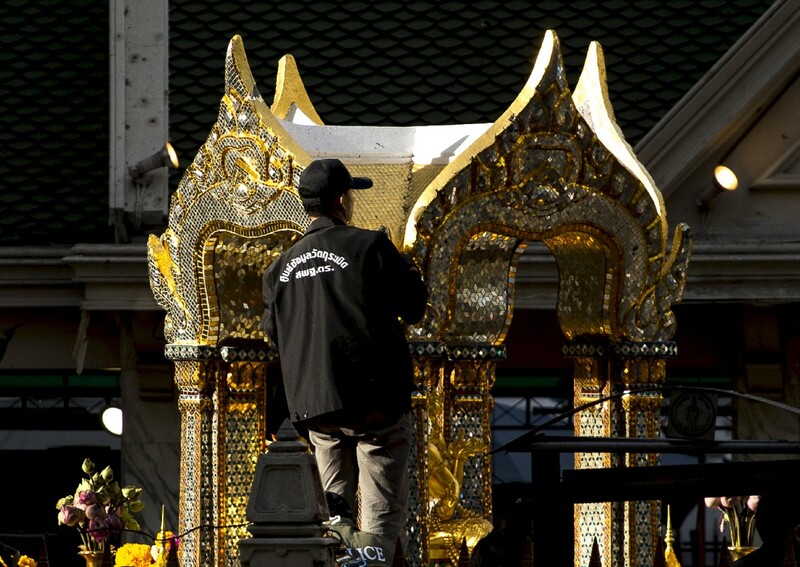 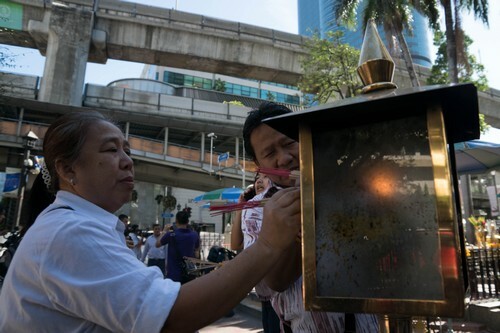 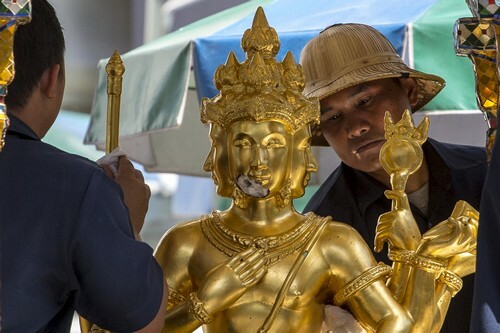 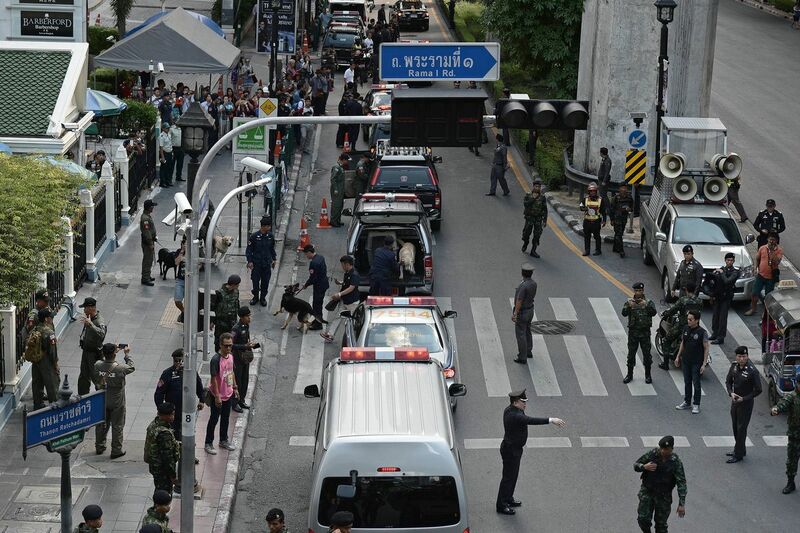 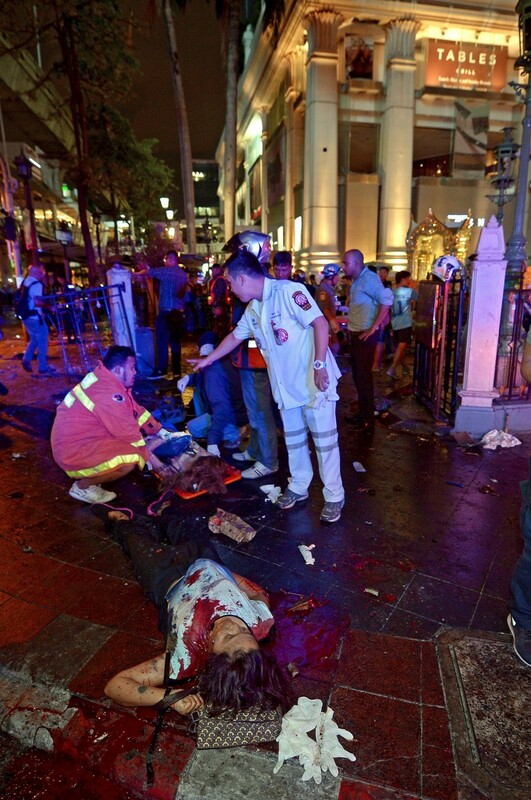 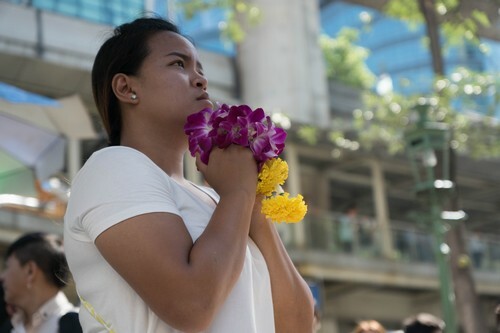 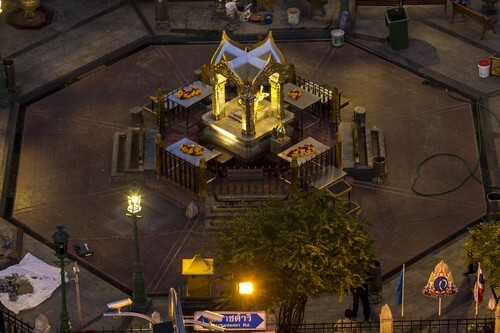 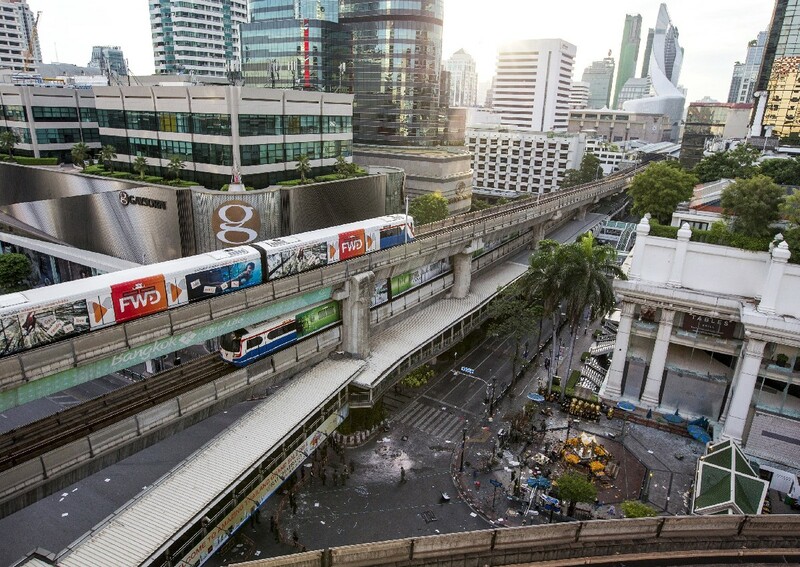 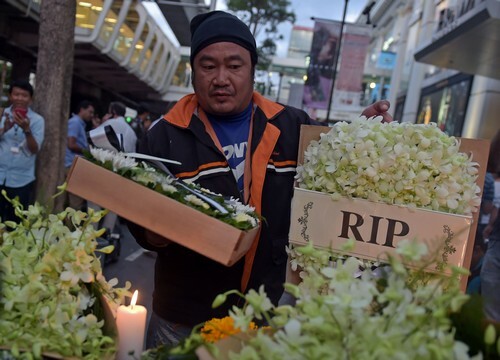 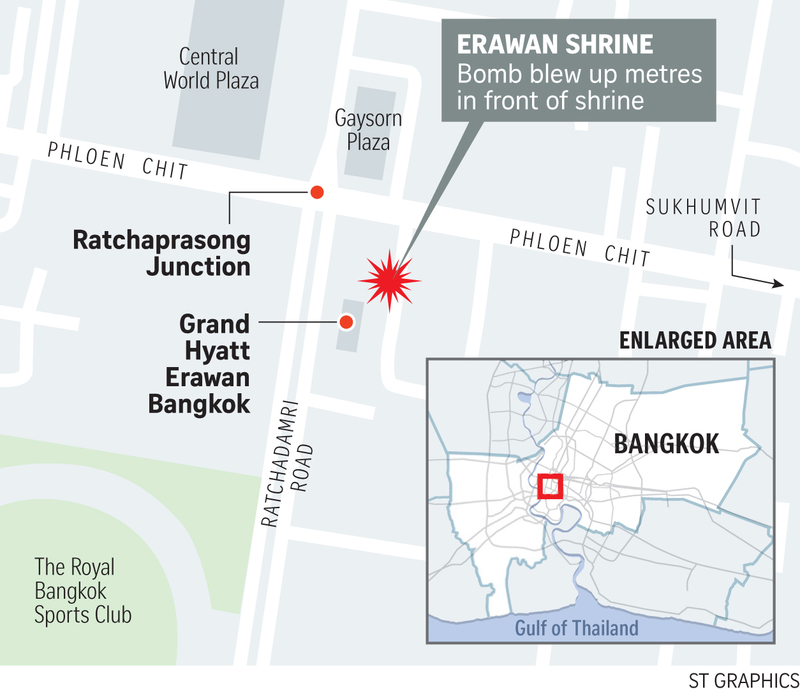 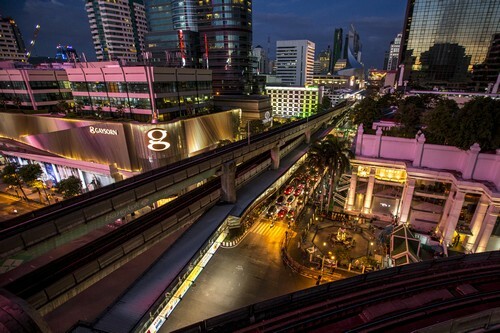 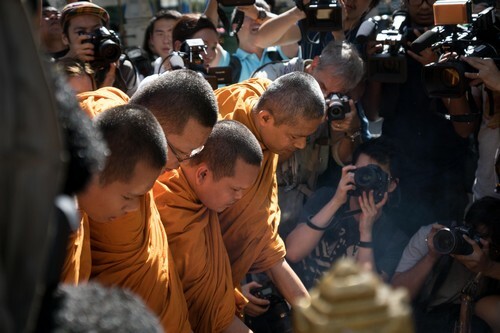 Chinese nationals were among the dead after Monday's blast at Erawan shrine in downtown Bangkok, which has left residents fearful of another attack and dealt a blow to the nation's vital tourism sector. 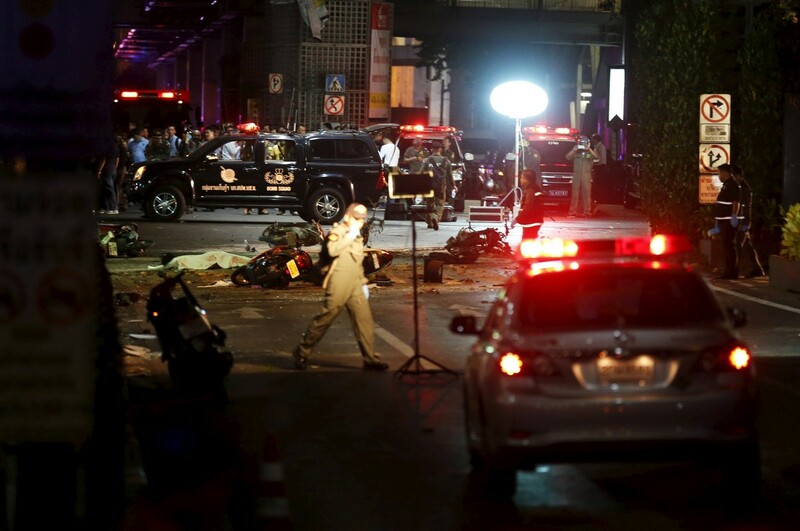 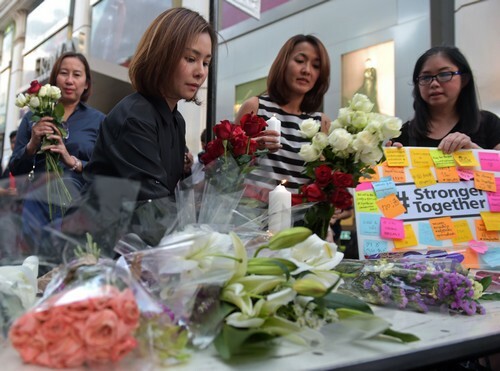 On Thursday Thai Prime Minister Prayut Chan-O-Cha said he would not attend a memorial service for the victims at the shrine on Friday because of growing fears for his life. 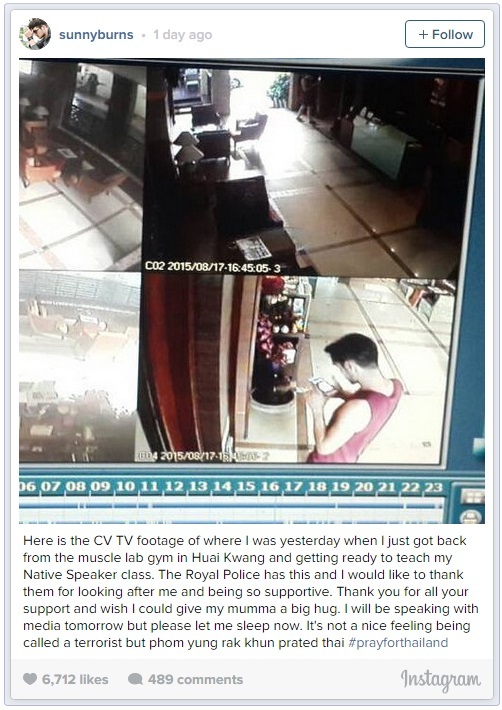 "I will not go there on the advice of my security. 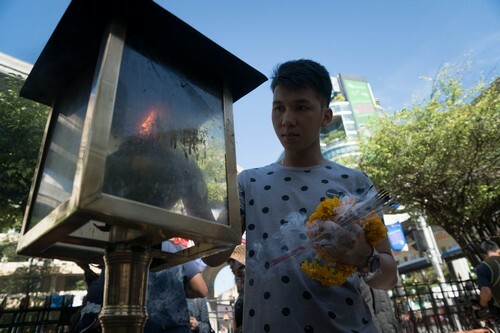 I am not afraid of dying but I am afraid others may die with me as my risk is increasing day by day," he said during an official function at Bangkok. 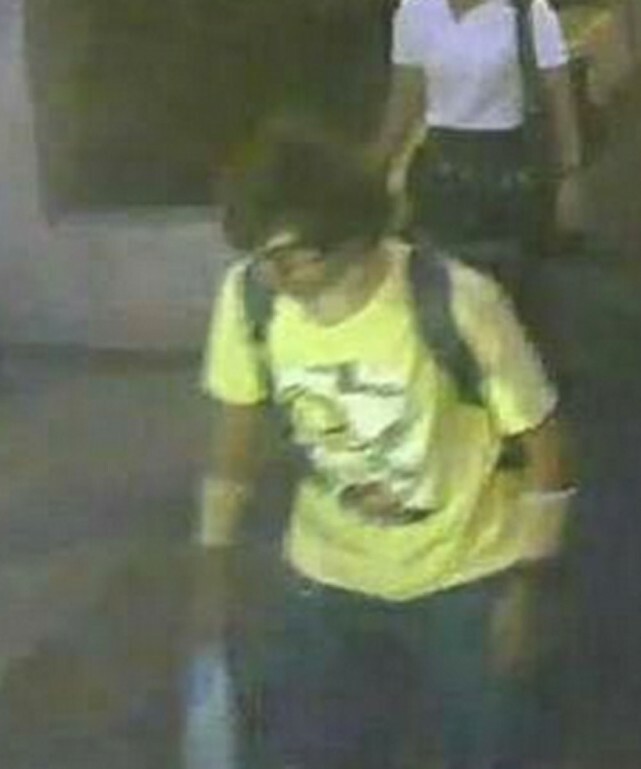 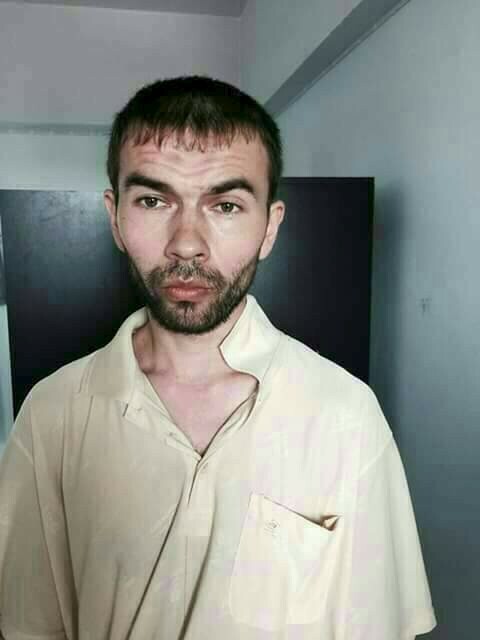 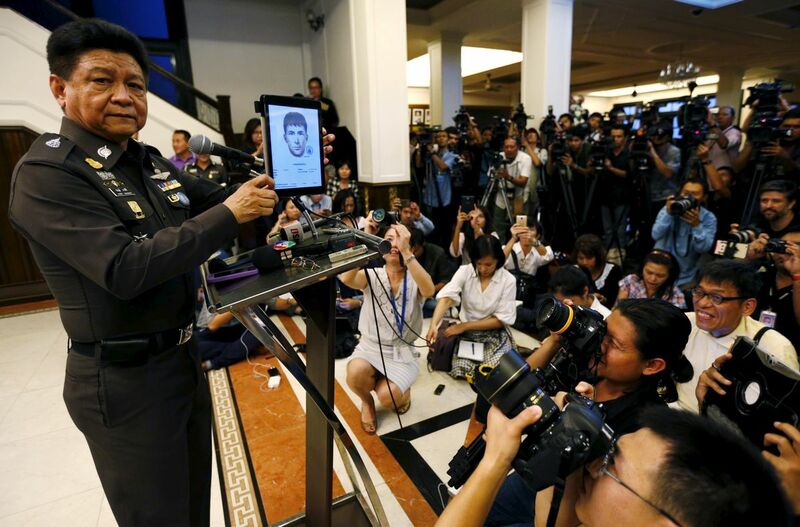 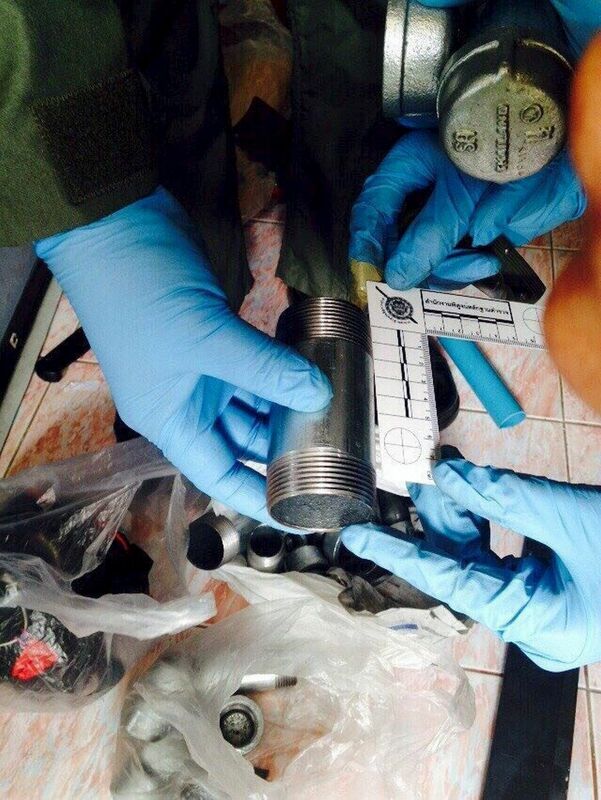 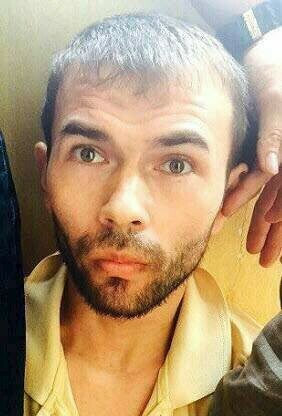 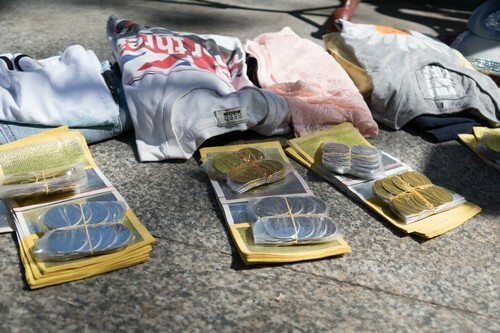 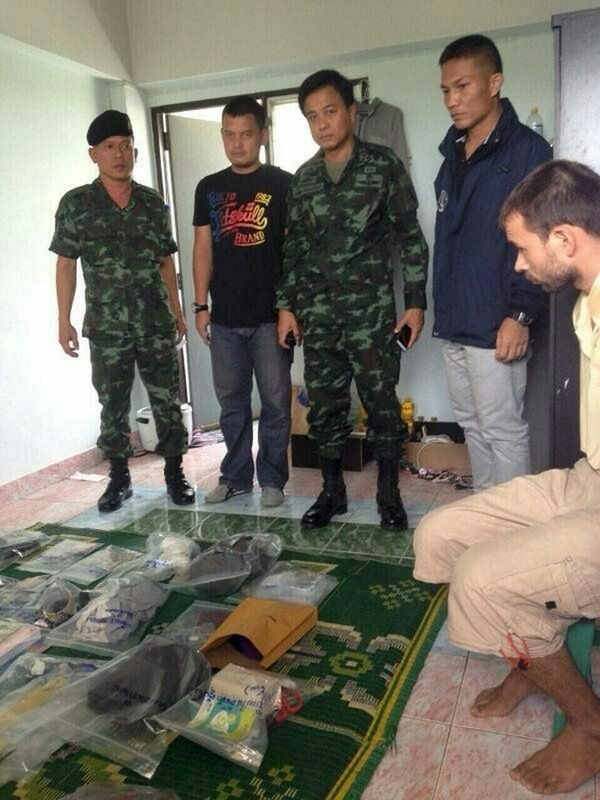 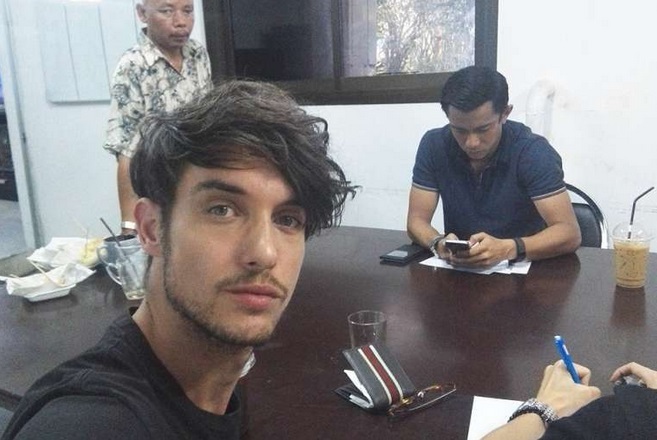 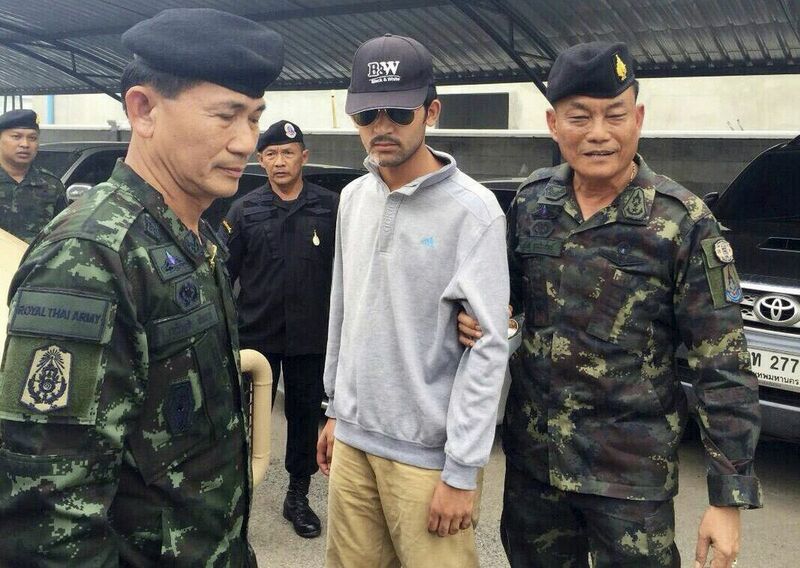 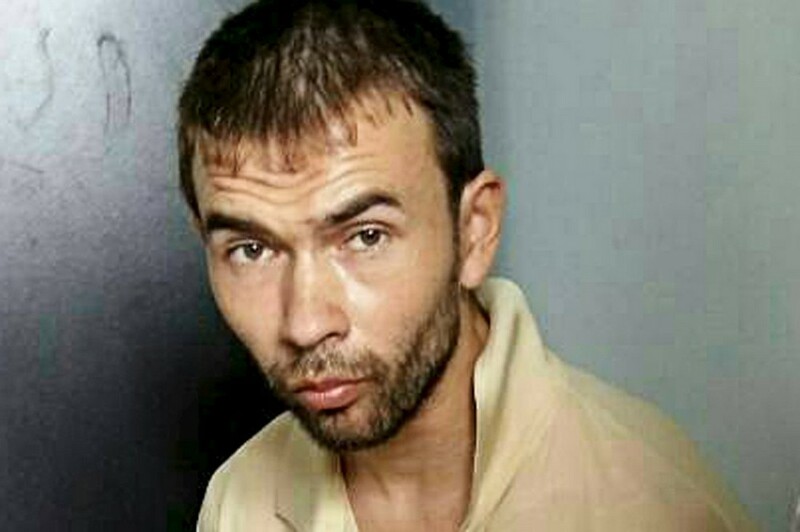 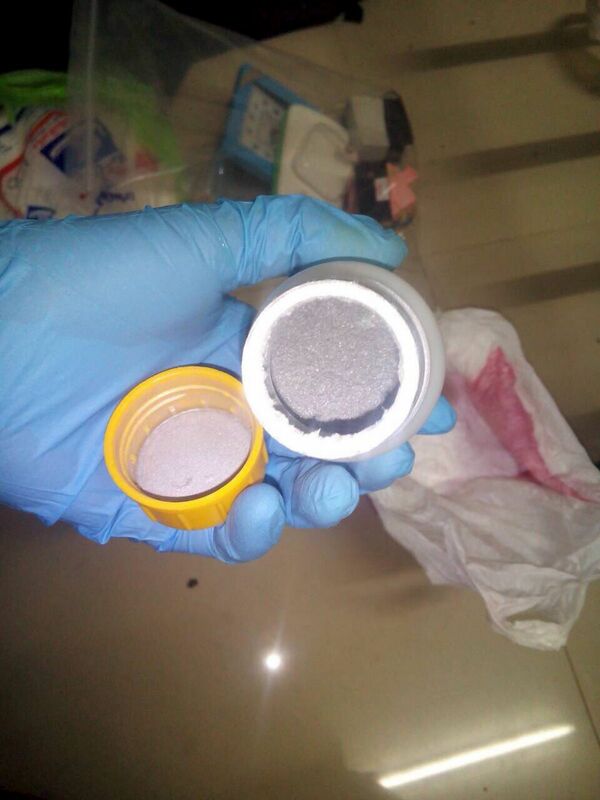 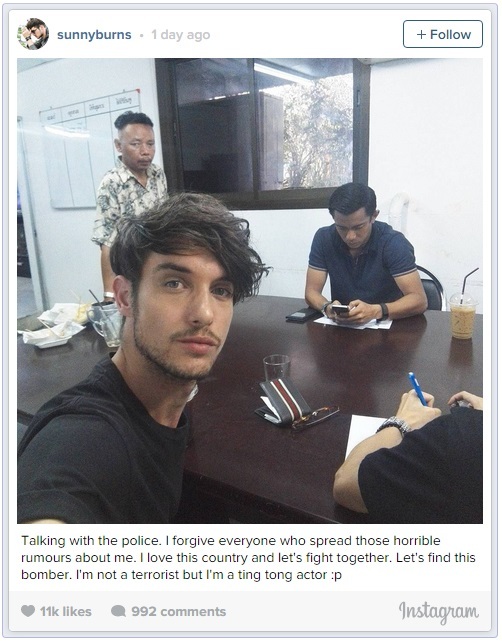 But authorities issued an arrest warrant Wednesday evening for an unnamed foreigner based on CCTV footage. 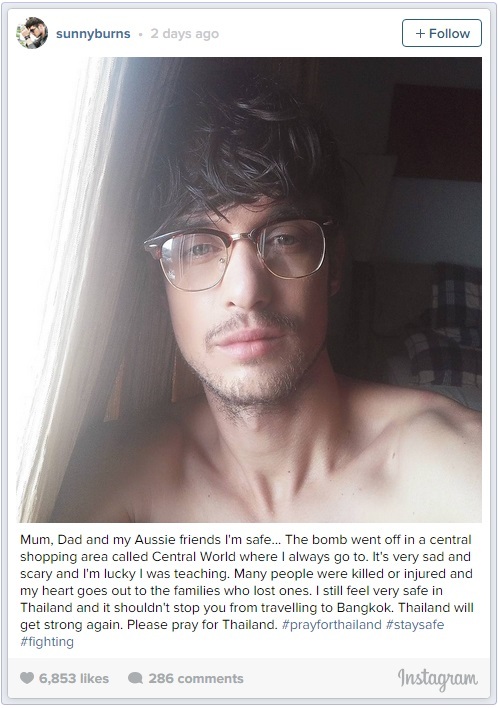 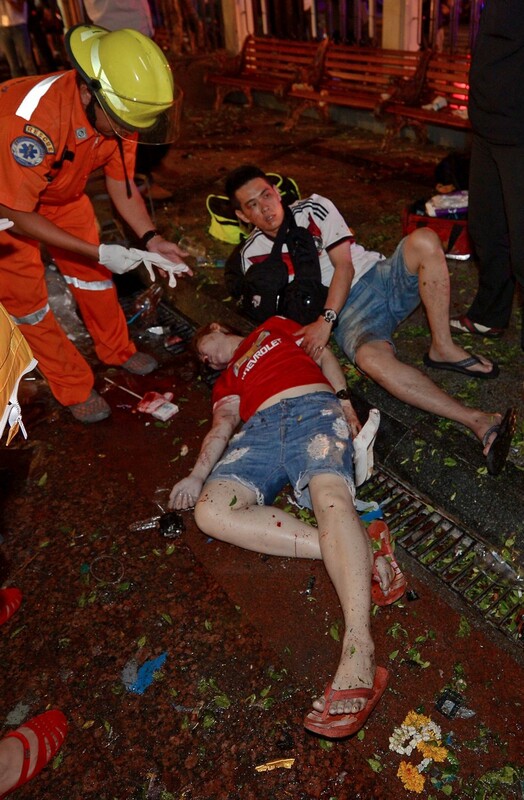 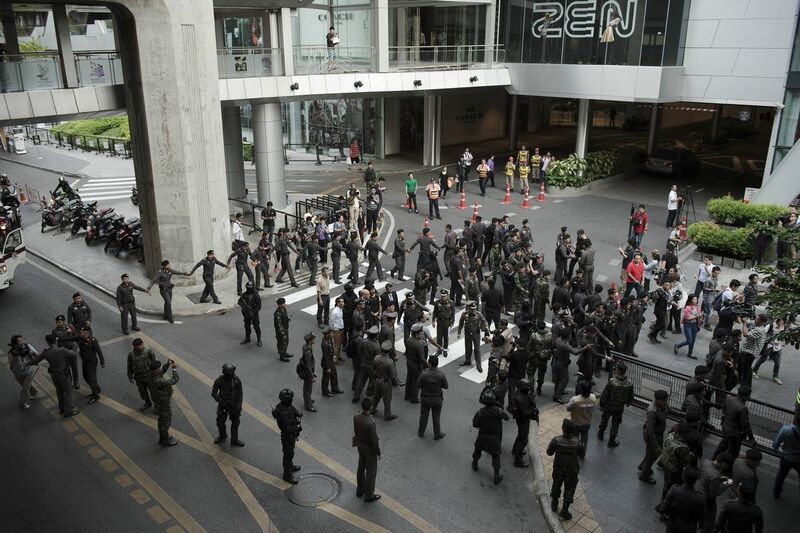 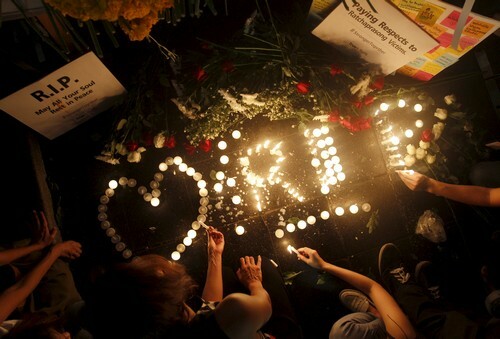 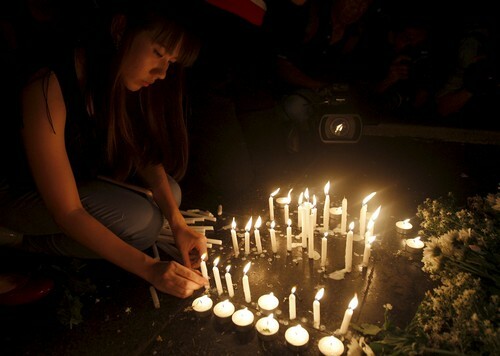 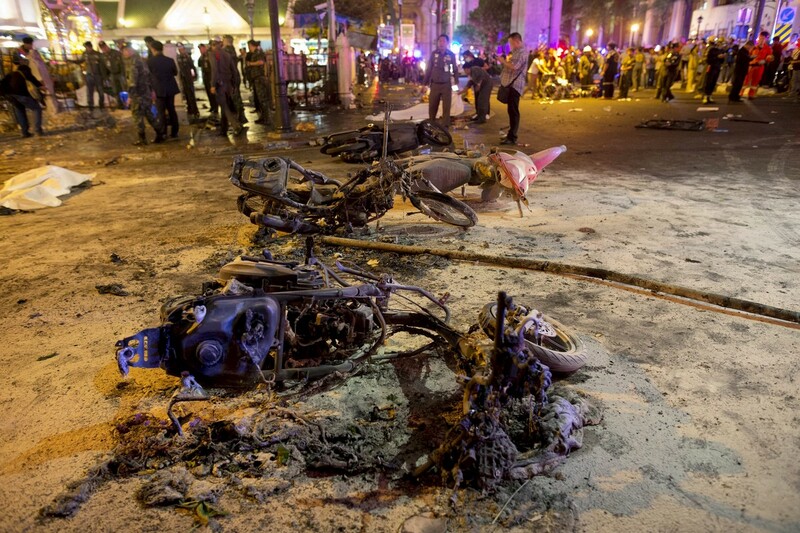 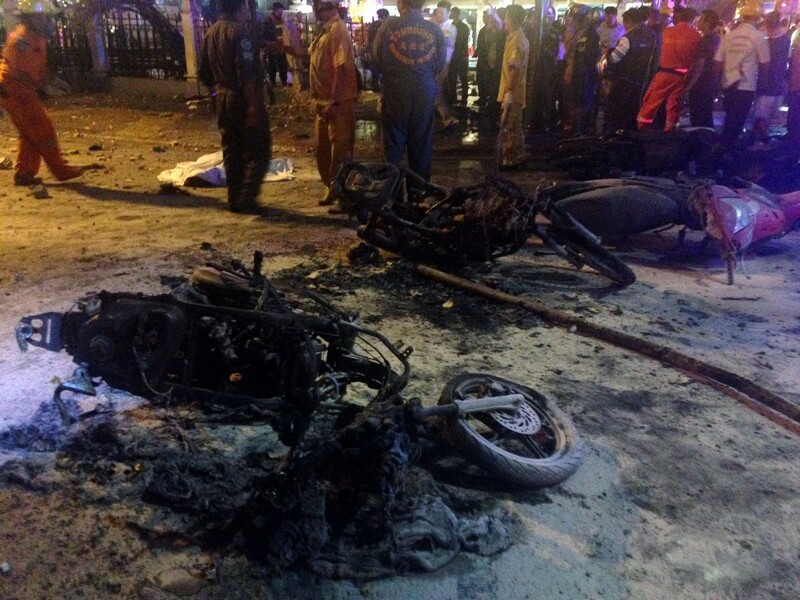 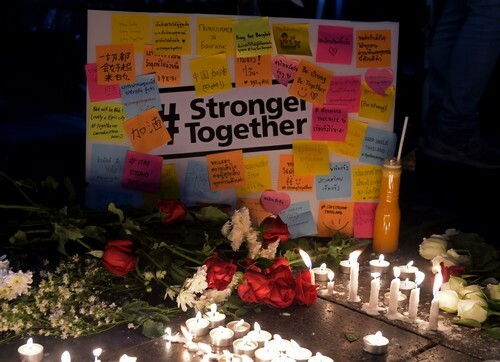 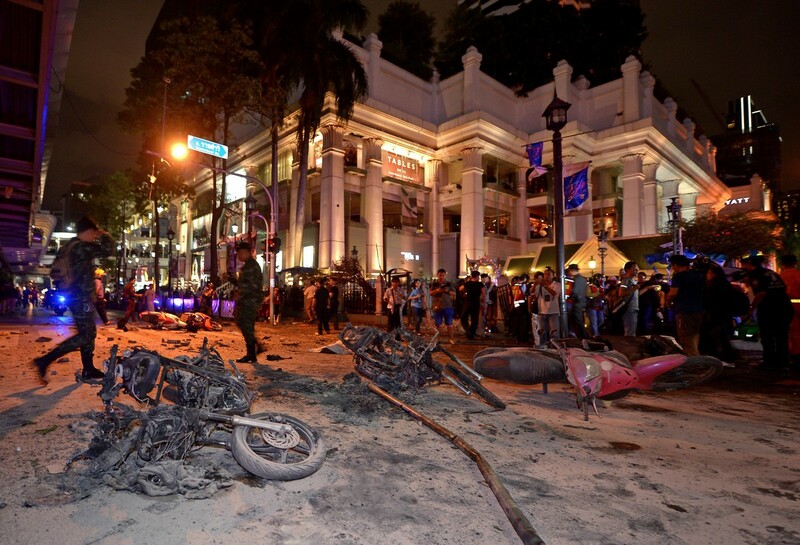 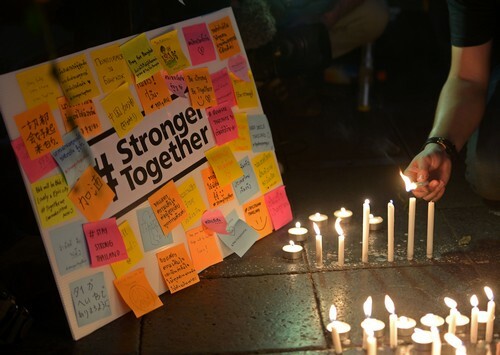 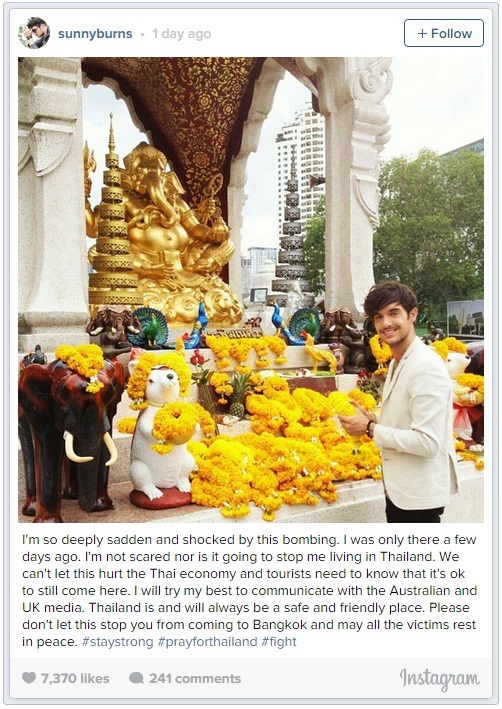 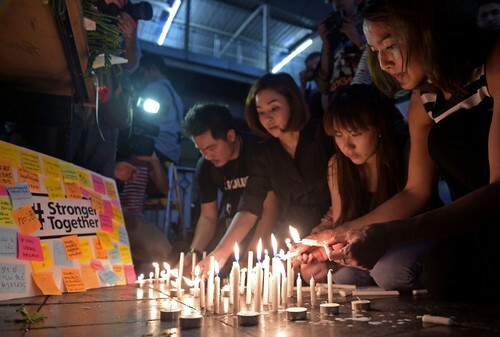 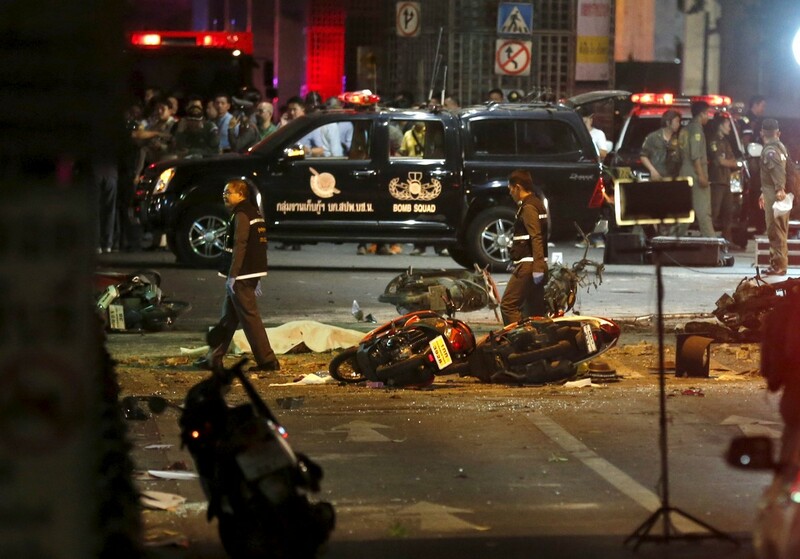 The bombing has claimed the lives of at least 13 foreigners - from China, Hong Kong, Indonesia, Malaysia and Singapore. 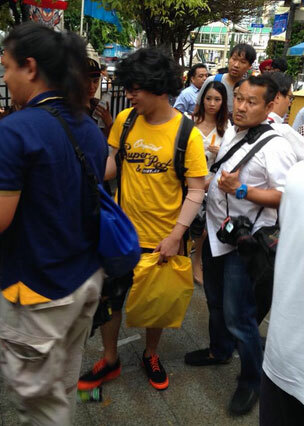 One of the Hong Kongers was also a British national. 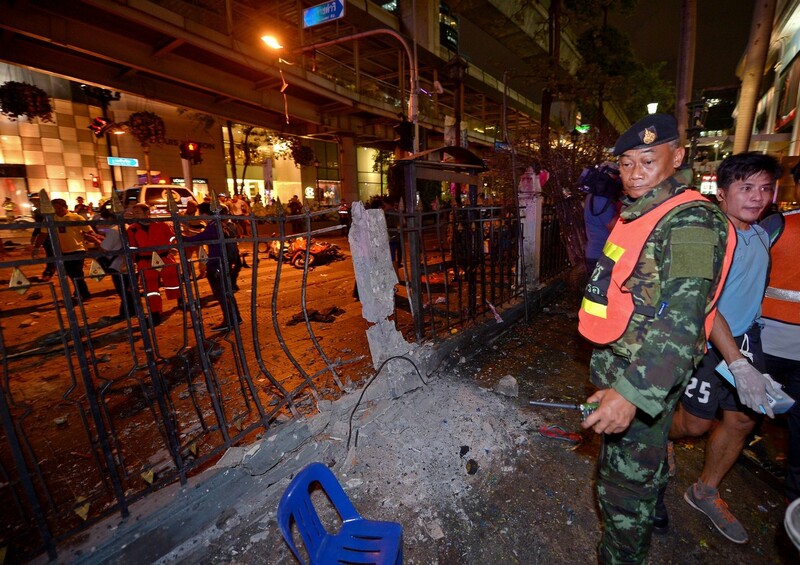 On Thursday Winthai said 67 patients wounded by the blast remained in hospital while a further 56 had now been discharged. 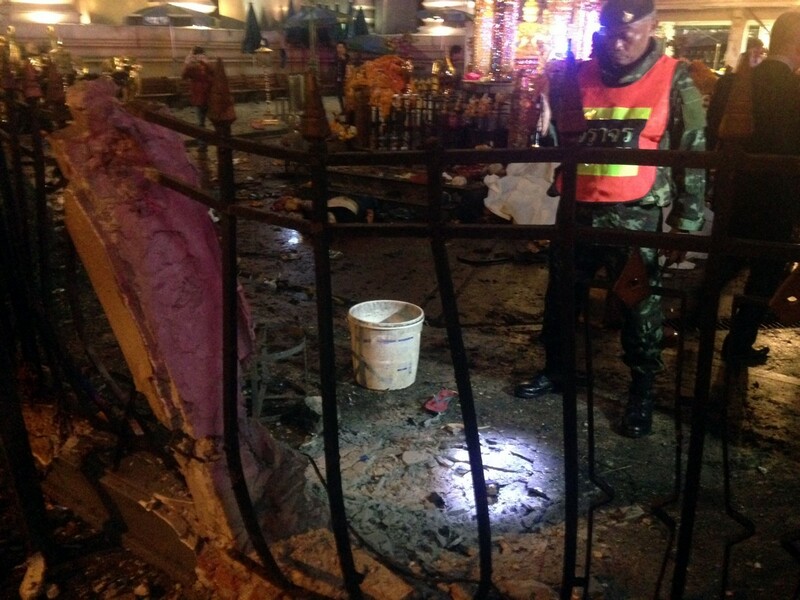 Authorities are still verifying the identity of two of the deceased.